Good news! This trip will be offered on both Tuesday April 16, and Saturday April 20. 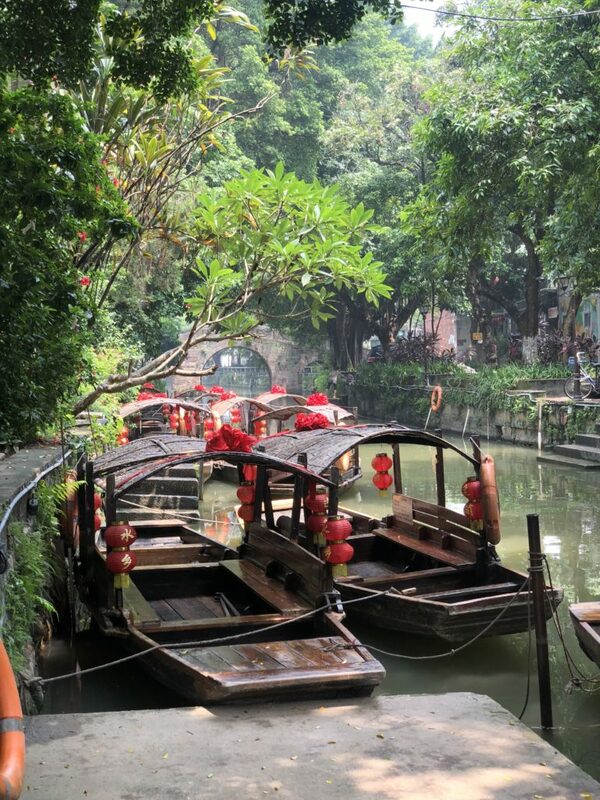 From here, we’ll head to lunch in Lingnan Tiandi, a historic district developed with many restaurants and quaint cafes. Cost of lunch is on your own. I will recommend a few restaurants to choose from, and provide a suggested menu to order from. I will recommend that groups of 3-5 dine together, rather than our entire group together for efficiency at the restaurants. 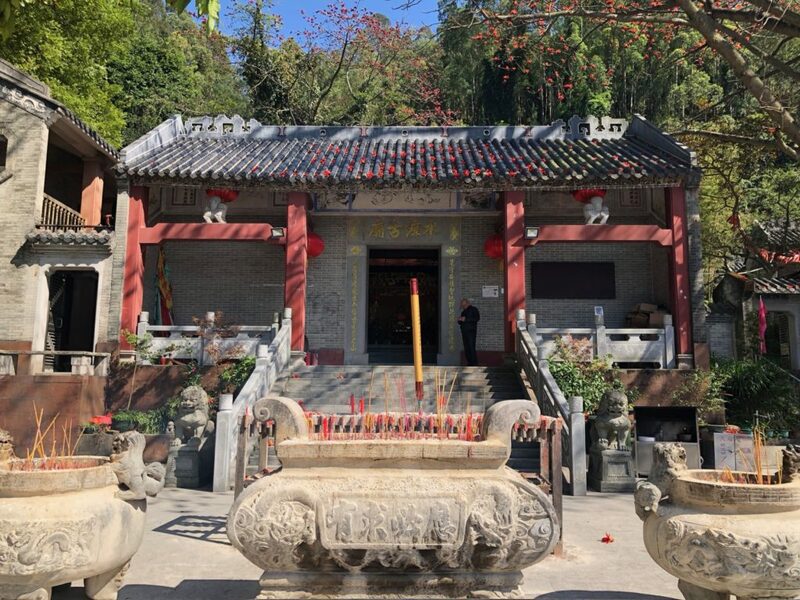 After lunch, we will explore the Ancestral Temple (祖庙 zu miao), which has been a central part of Foshan people’s religion for centuries. 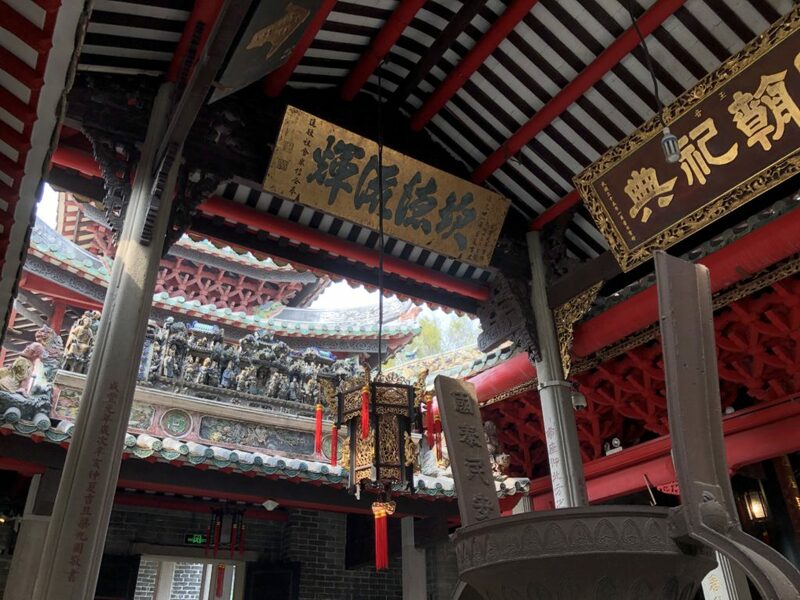 In this well preserved temple, you can also learn about Ip Man and Wang Fei Hong, two major kung fu masters from Foshan. 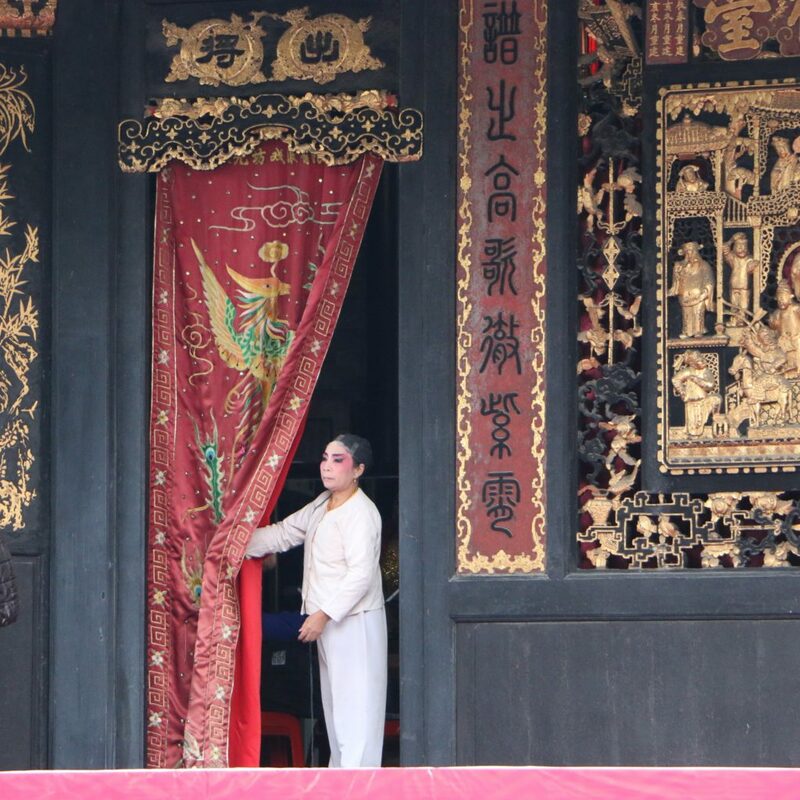 The elements of Cantonese opera are demonstrated at the temple’s own traditional stage. 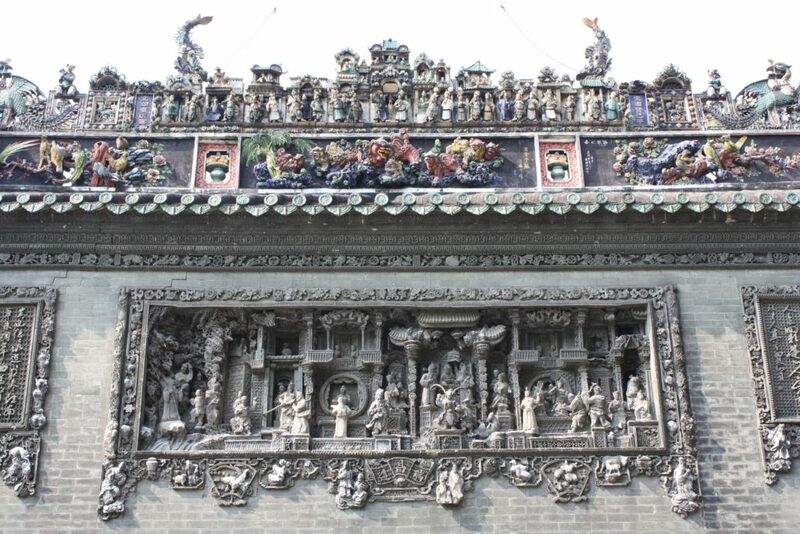 And don’t miss the heart of the Ancestral Temple, the ornate halls of Beidi, the northern emperor god, to whom locals pray to watch over Foshan. 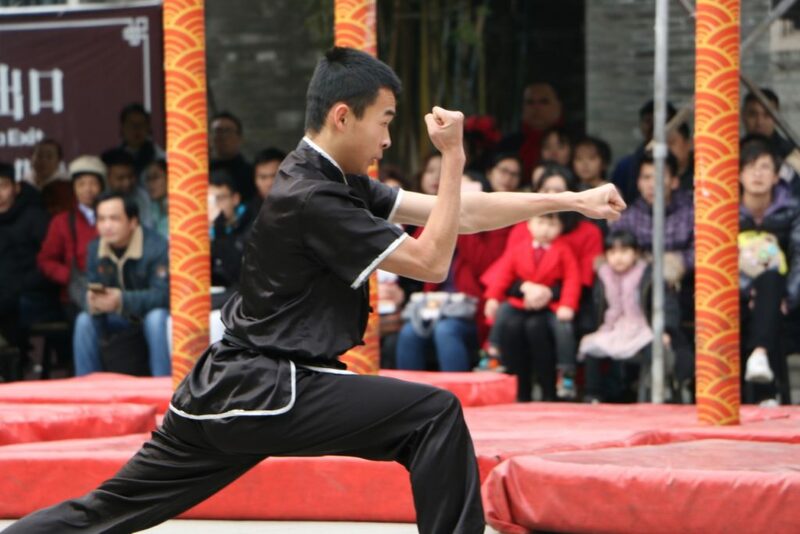 We will catch a lively performance of the temple’s students demonstrating the Foshan styles of kung fu and lion dance. 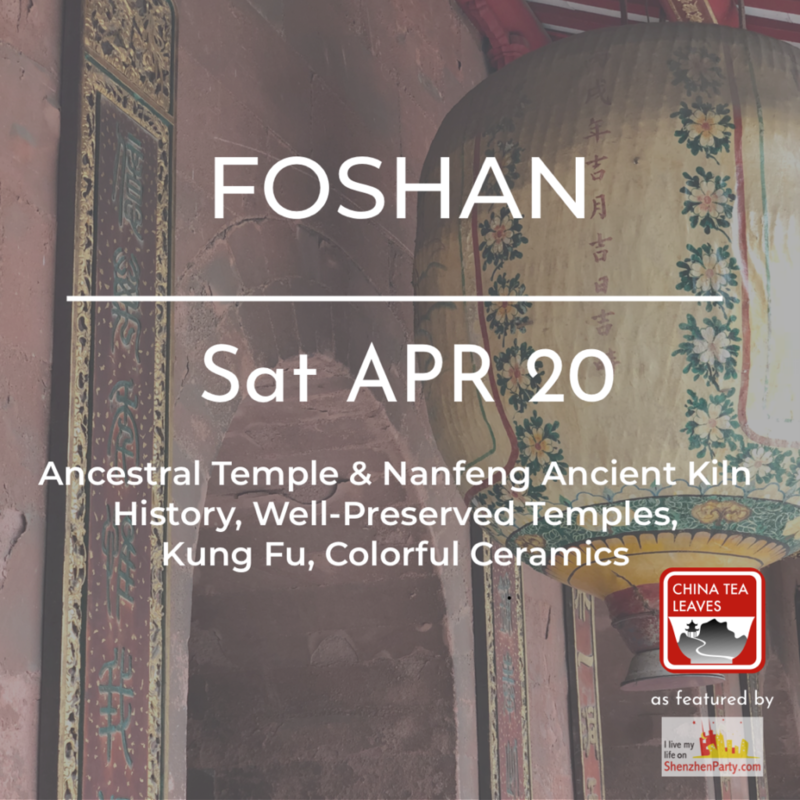 The thrilling colors and traditions of Foshan will add to your best memories of your time in China. Price: 315RMB per adult, 225RMB for kids between 1.2-1.5m (15RMB off for Shenzhen ABNet or SWIC member), kids under 1.2m get an additional discount – contact me. 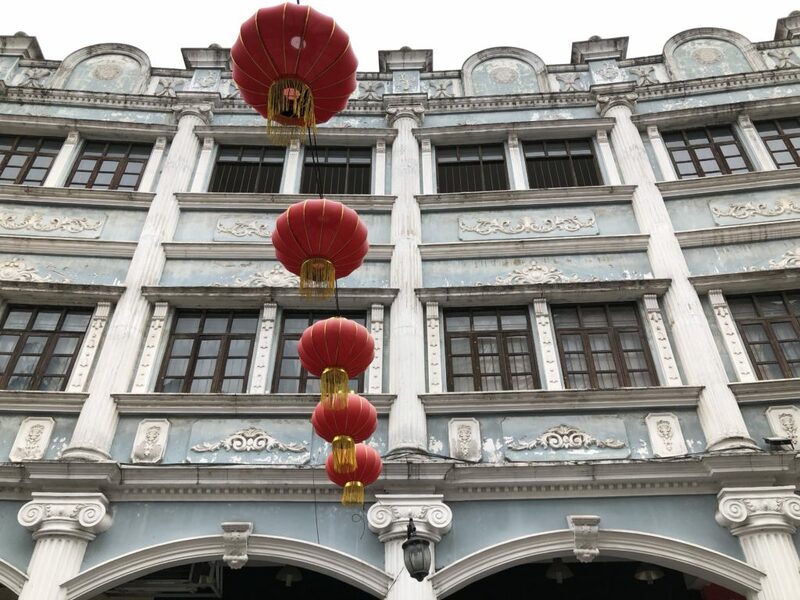 Come with China Tea Leaves to Kaiping (开平), for a one day getaway to a place with stunning architecture and pleasant villages, not far from Shenzhen. 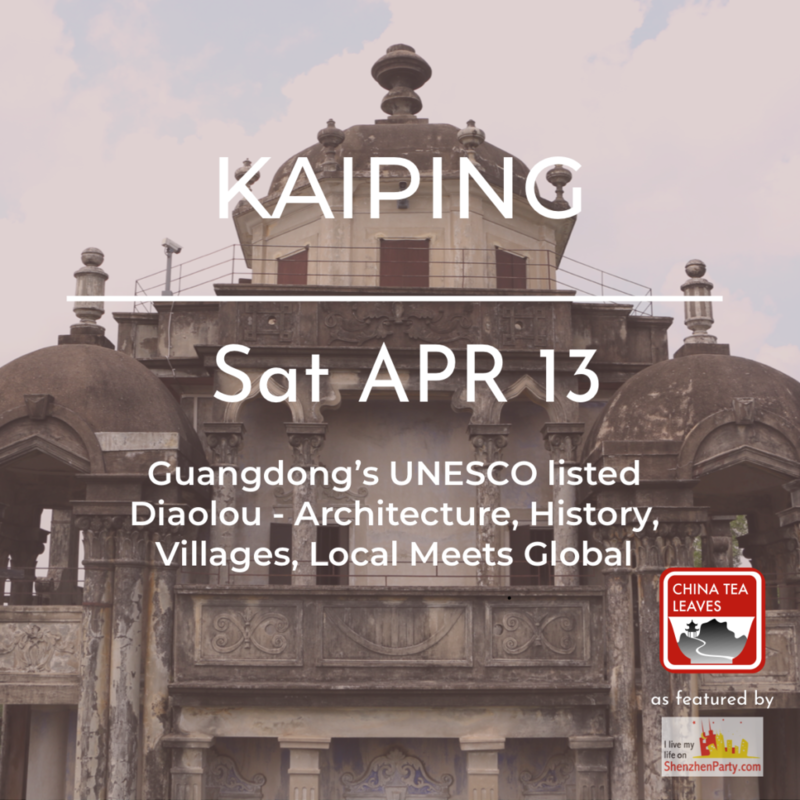 Kaiping is part of the five counties known as the top hometown of overseas Chinese. One in ten people with Chinese heritage living overseas have roots from this region. 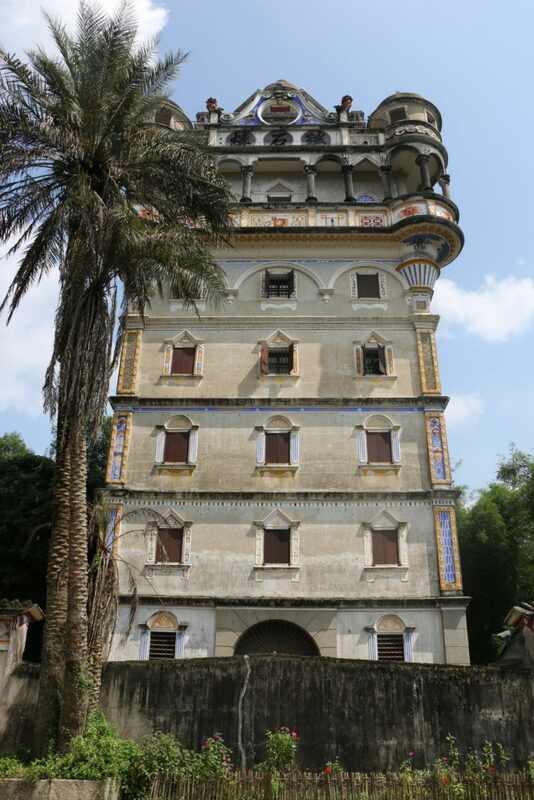 It is also the hometown of diaolou (碉楼), a unique building type that acted as a fortress, watchtower, and clan house. Whereas palace and courtyard architecture throughout China expands out as it grows, the diaolou goes up. 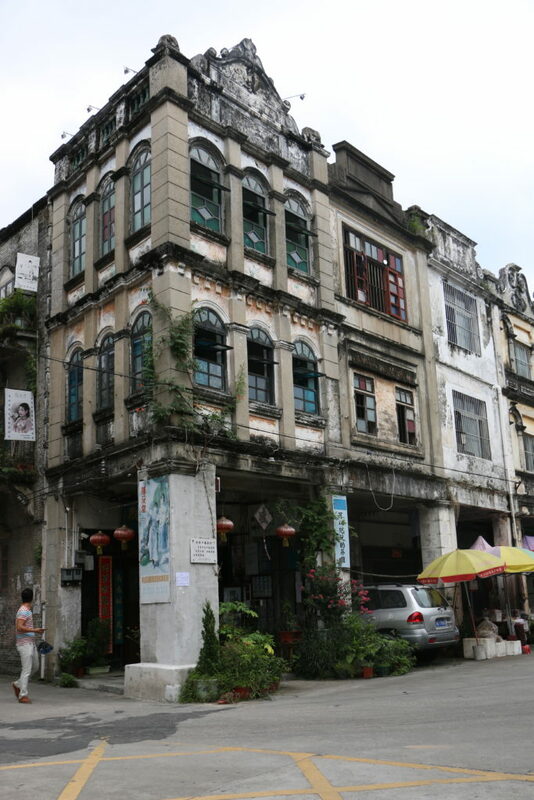 Thousands of diaolou are sprinkled throughout Kaiping’s districts, often rising seven, eight, or nine stories from low-lying villages. Those that emigrated sent back money they earned abroad, and sometimes brought back Western designs and furnishings adding to the distinction of their diaolou. 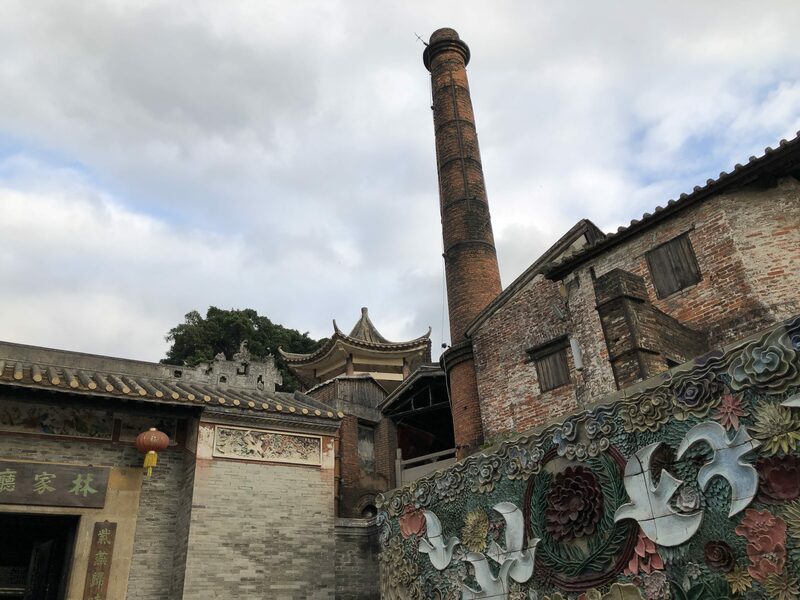 This building phenomenon put Kaiping on the map as a UNESCO World Cultural Heritage site, and makes it a must-see in Guangdong province today. 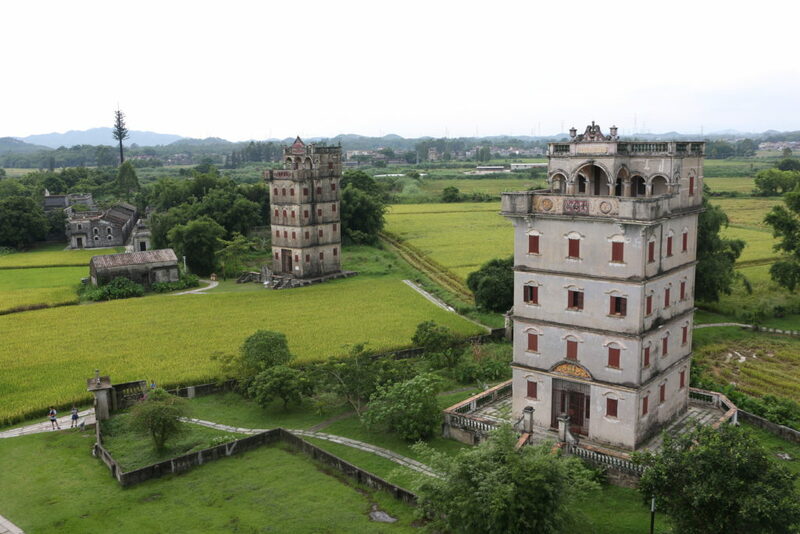 This is a special offer to see these UNESCO recognized sites in just a one day trip from Shenzhen. Our private shuttle will take us from Shenzhen to Kaiping, taking about two and a half to three hours. First we’ll visit the Zili village (自力村). 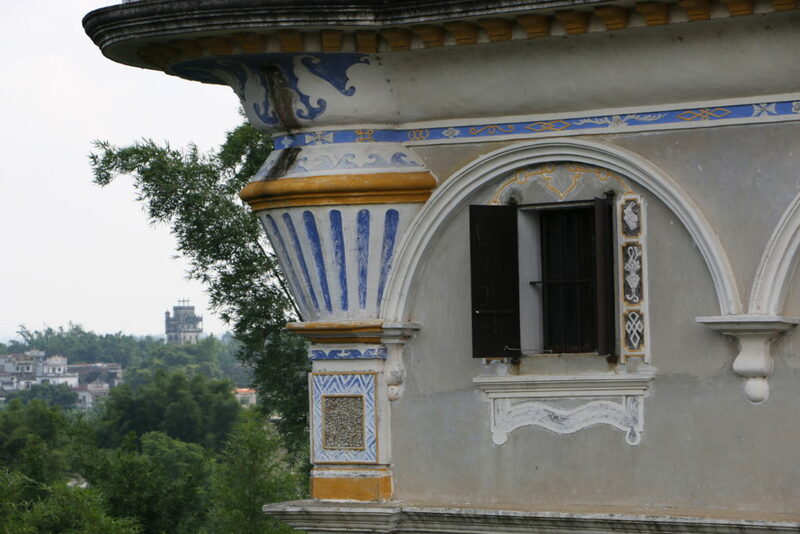 Several diaolou are set amongst the rice paddies, including two maintaining their original furnishings. Go inside and climb to the top for classic views of your surroundings. From Zili village, we will head to Li Garden (立园). 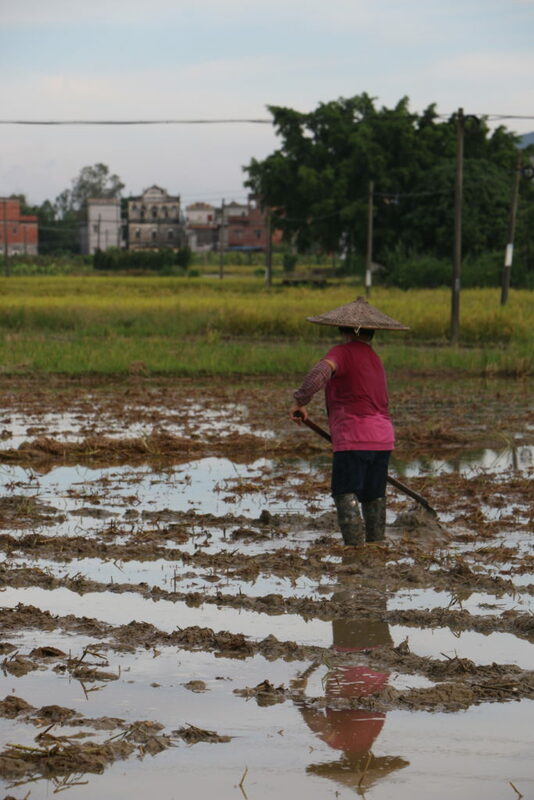 Along the way we’ll see village life, women farming the rice paddies, and other diaolou dotting the greenway. Li Yuan is a masterpiece of Qing dynasty design, but it also incorporates western and middle eastern elements into its myriad gardens. After a picnic lunch, we’ll continue through the rice fields, which with all the watchtowers and arcades might be starting to look like someplace between King’s Landing and Winterfell. Finally we’ll visit Jinjiangli (锦江里) village and its fine diaolou cluster. Their turrets, arches and colorful frescoes will make you feel like you’ve been transported to medieval Italy. On our way out of town we’ll make a stop by Chikan (赤坎) town, whose many western buildings have been used as movie sets for historic Chinese films. The town is preparing for a massive renovation but we can take our chances to see backstage before the refurbishing starts. 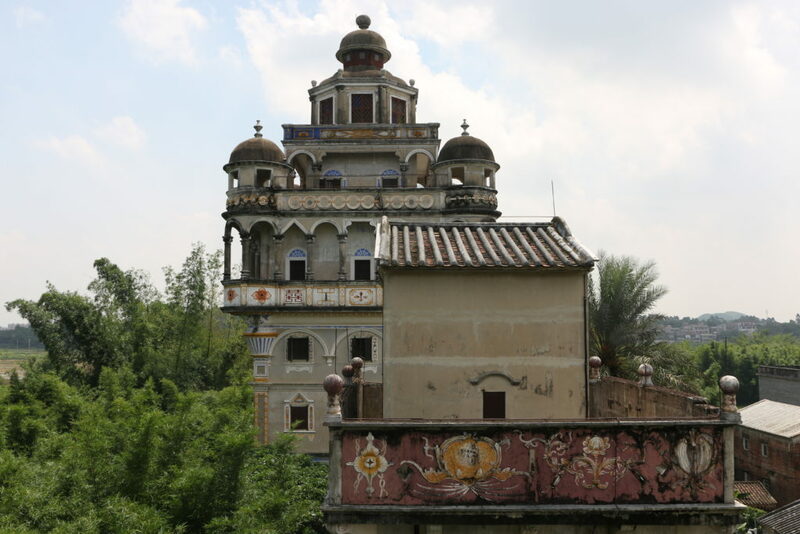 We will drive back in the evening after an enchanting day in the castles of Kaiping. 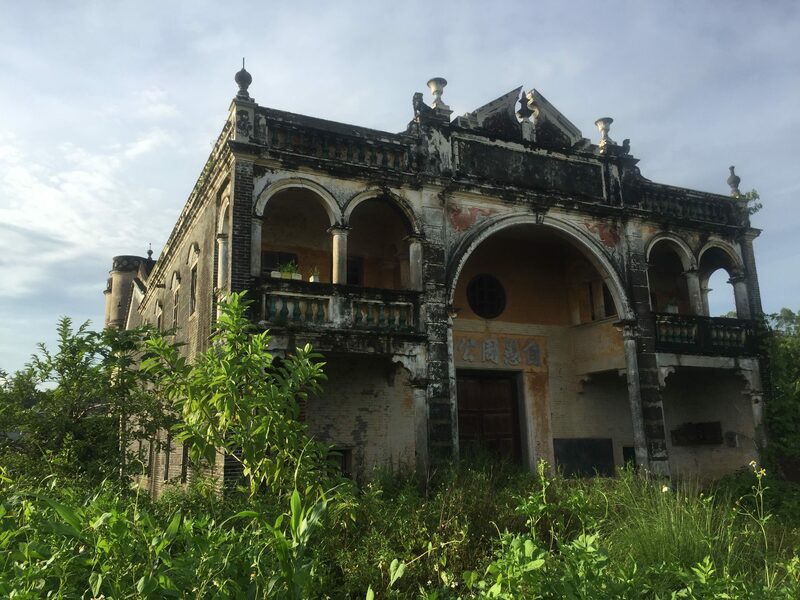 Without traveling far from Shenzhen, you can see a world of architecture and revive yourself in the slower-paced villages of Guangdong province. Price: Adult: 545RMB, 515RMB SWIC or ABNet member. Child 1.2-1.5m: 295RMB, 275RMB SWIC or ABNet member. 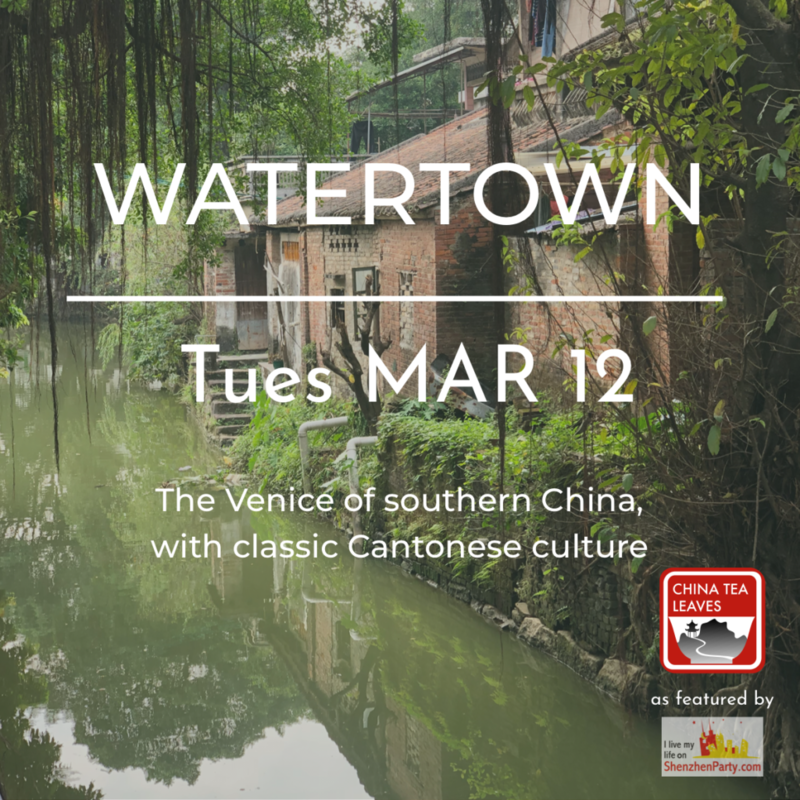 Price includes: Private shuttle from Shenzhen and around Kaiping, entrance tickets, and full service guide by Greta of China Tea Leaves. Does not include lunch. Dining options are very limited around the villages, so please pack a picnic lunch. If adding me for the first time, be sure to mention Trips or Kaiping in your introduction. 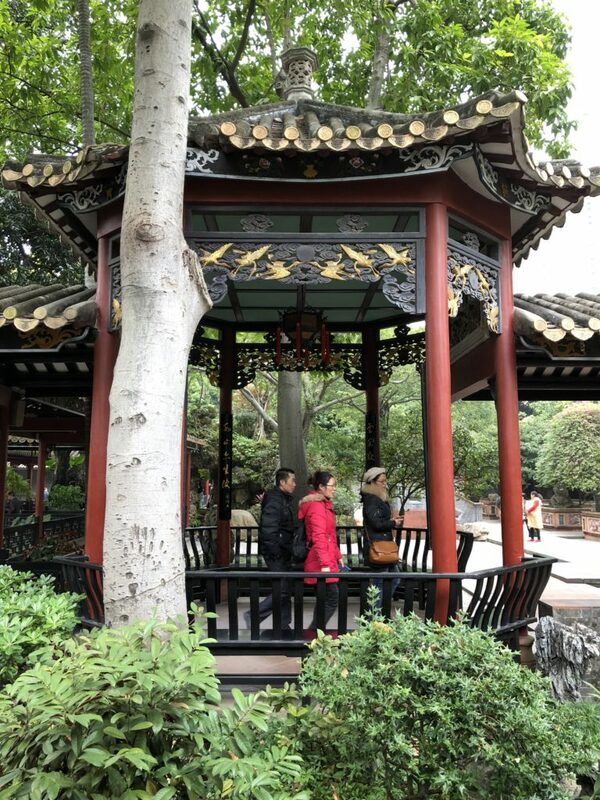 The long weekend of Qingming Festival is approaching – a time to remember family members who have passed, as well as a marker of spring in full swing, and a time to venture out to the countryside for freshness of air and mind. 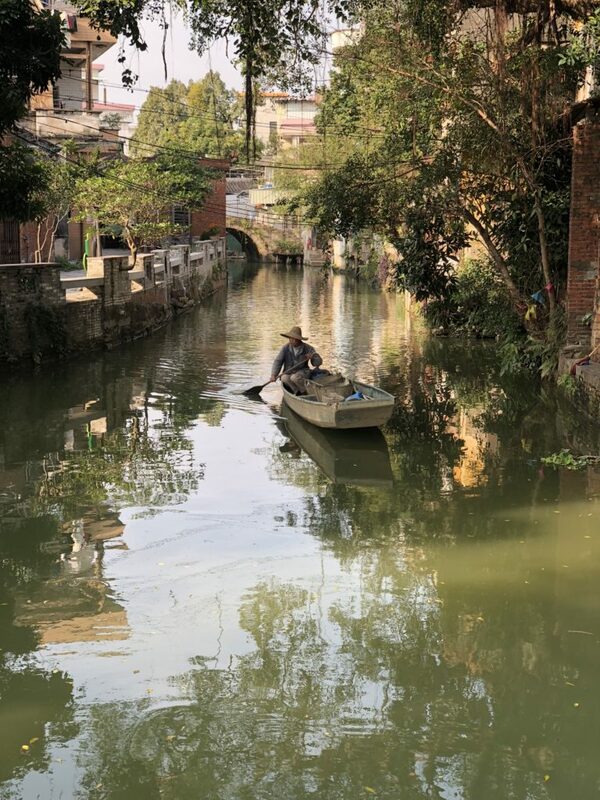 I have designed a route to enjoy some of the neighboring Pearl River Delta, but without running into any droves of tourists, hence, we are going Off the Grid. From Shenzhen, we will head west to the southwestern area of Shunde bordering on Jiangmen. These regions are covered in a jigsaw of fish reservoirs, laced with canals and tendrils of villages entwined. First, we’ll visit a local temple dedicated to Guanyin, Buddhist goddess of mercy. Perhaps on this religious feast it will be full of color and incense lifting up prayers just made. Nearby are several clan houses of local families, tucked among the village roads. For lunch we will have the option to dine at a unique farmhouse private kitchen. 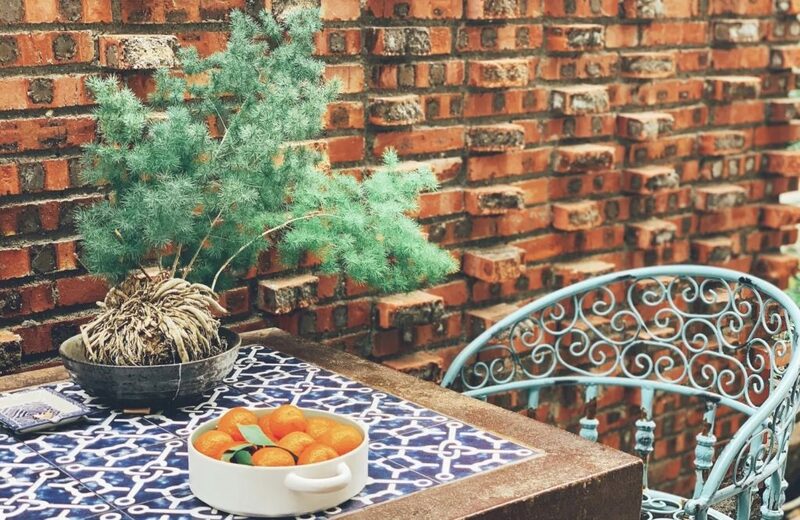 In an older part of outer Jiangmen, fish, shrimps, tea and Shunde desserts are served in artful brick courtyards. Heading up into Shunde, we can really go off grid and explore some of the roads winding up into the fish and farming plots. 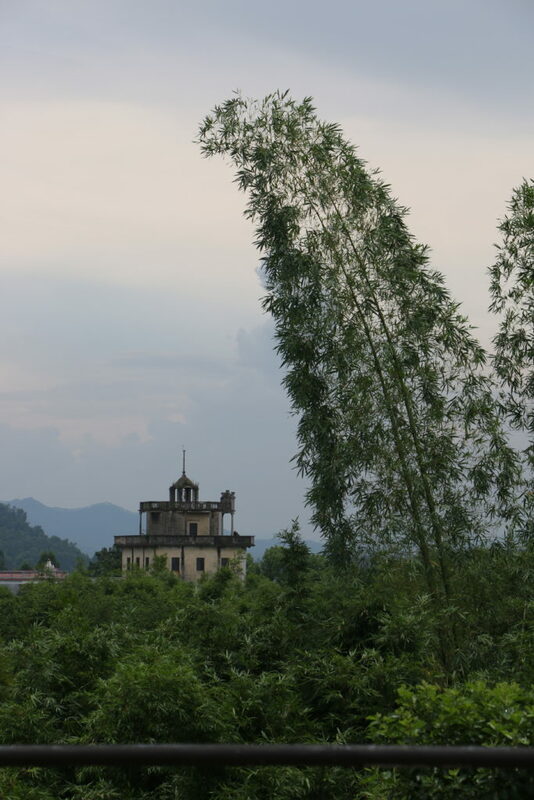 We will find the essence of the Guangdong countryside. Our final goal will be the ancestral village of martial arts master Bruce Lee. Lee himself was born in San Francisco, but his parents had roots in this corner of Shunde. A Li (李) family clan house still stands at the entrance of the village, with just a few Li family members socializing in its courtyards. 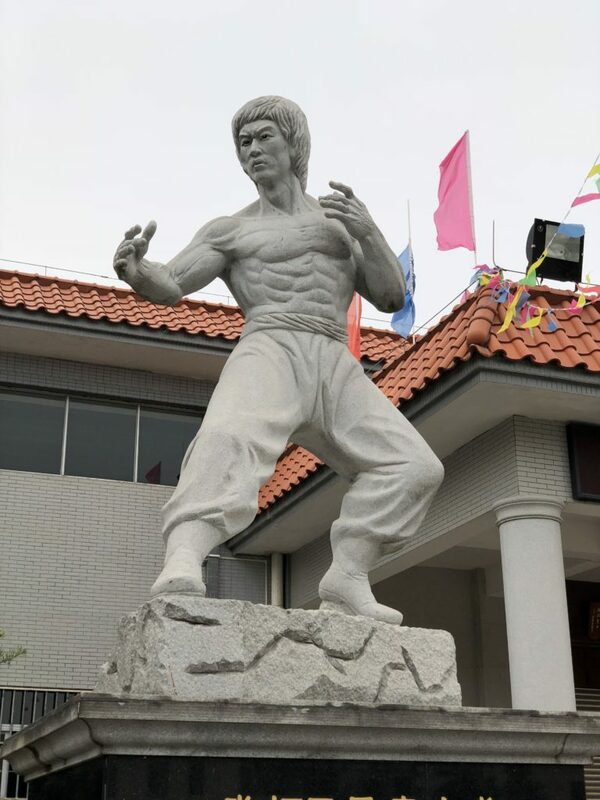 A memorial to Bruce Lee and an earlier important Li family member still marks the place. 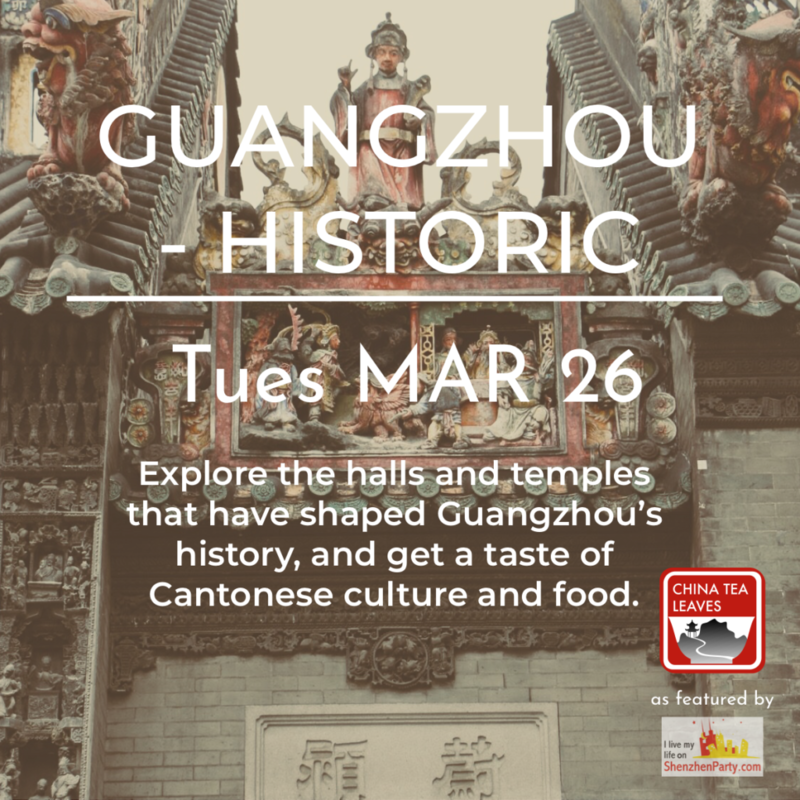 Come for a day out exploring Guangdong, off the tourist track and tracing the lines of this province’s heritage. Price: 340RMB per adult, 240RMB for kids between 1.2-1.5m (30RMB off for Shenzhen ABNet or SWIC member), kids under 1.2m get an additional discount – contact me. includes round trip private shuttle, entrances, and tour. lunch not included. If adding me for the first time, be sure to mention Trips in your introduction. This is a special offer for the first time with China Tea Leaves, to see these UNESCO recognized sites in just a one day trip from Shenzhen. Our private shuttle will take us from Shenzhen to Kaiping, taking about two and a half to three hours. After a picnic lunch, we’ll continue through the rice fields, which with all the watchtowers and arcades might be starting to look like someplace between King’s Landing and Winterfell. First we’ll visit Jinjiangli (锦江里) village and its fine diaolou cluster. Their turrets, arches and colorful frescoes will make you feel like you’ve been transported to medieval Italy. From here, we’ll move on to Majianglong (马降龙) Village, which is known as the most beautiful village in diaolou country. Towers peek out like Roman villas from primordial forests, and from the roof your view dances across the tops of swaying bamboo branches. We’ll make a stop by Chikan (赤坎) town, whose many western buildings have been used as movie sets for historic Chinese films. 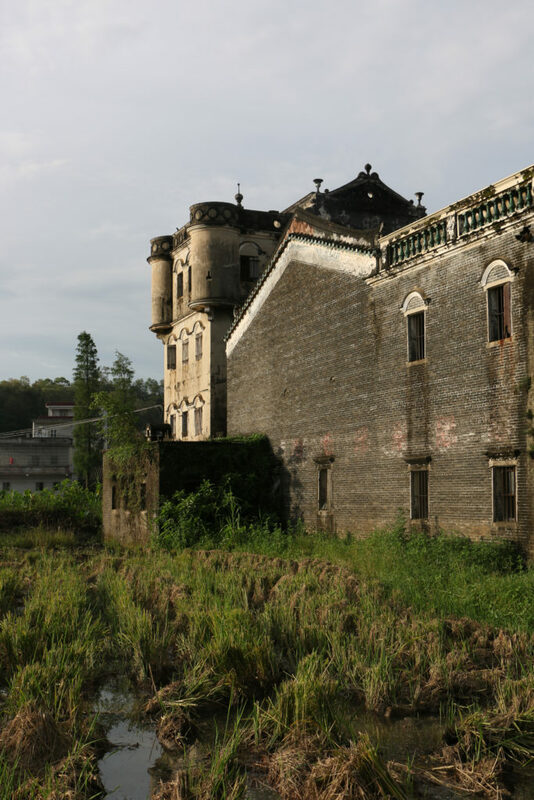 We will drive back in the evening after an enchanting day in the castles of Kaiping. Beach or mountain? 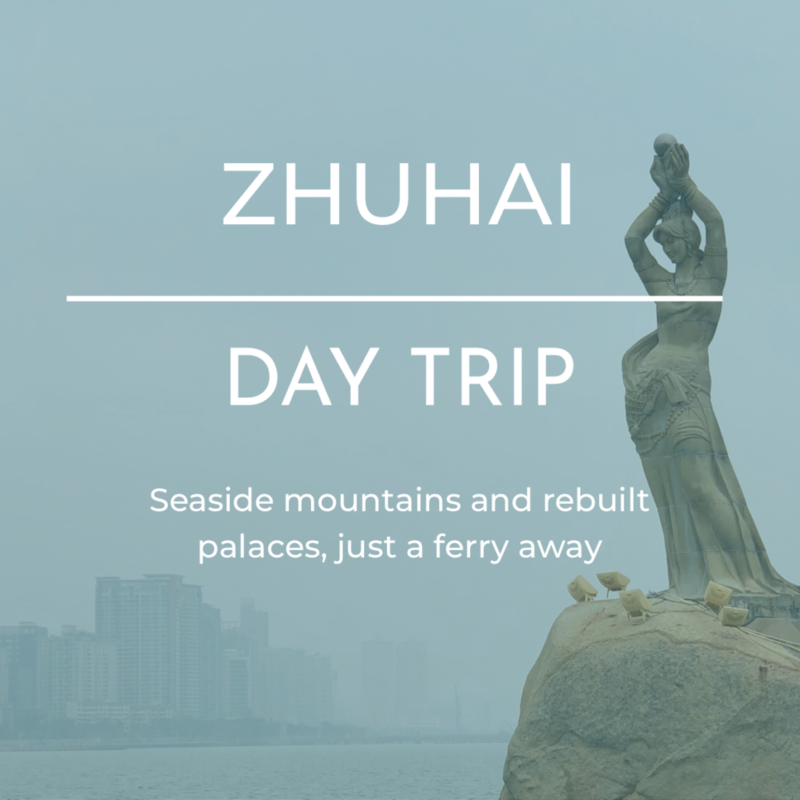 Zhuhai treats you to both and much more, in a one day jaunt from Shenzhen. Here’s a day out across the sea, in our Pearl River Delta neighbor Zhuhai. Like Shenzhen, it is a modern city and special economic zone, but with only 1.5 million people and miles of sea coast, it truly feels like a seaside respite from daily life. We’ll start out by taking the ferry from Shekou to Zhuhai. From there, we’ll be escorted by private shuttle around some of Zhuhai’s top sights. We’ll walk along the Lover’s Road, with swaying palms above and the delta’s lapping waters stretching out to the horizon. In Zhuhai, a visit to the Fisher Girl is a must. A lovely symbol of the city, she stands strong amongst the tide-worn rocks holding aloft a great pearl. 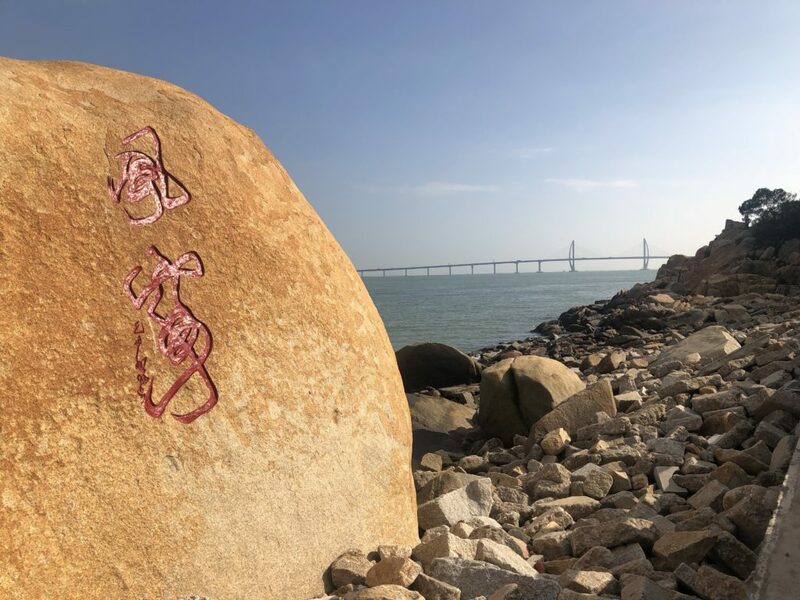 Legend holds that she came to Zhuhai as the immortal Dragon Girl and fell in love with the lushness of Zhuhai, as well as one of its mortal inhabitants. 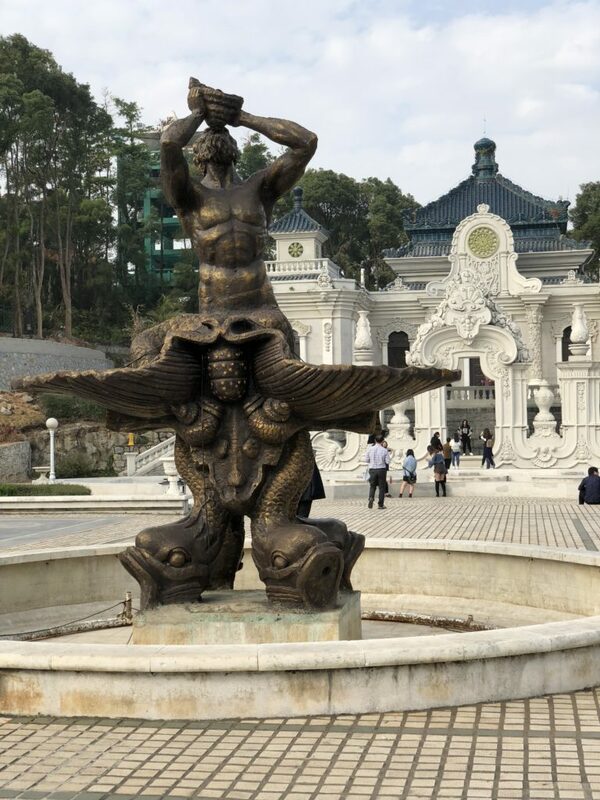 From the coast we’ll head up the nearby Jinghsan mountain, for views over the islands of central Zhuhai, and may come upon the Fisher Boy, who calls down to his paramour within sight below. 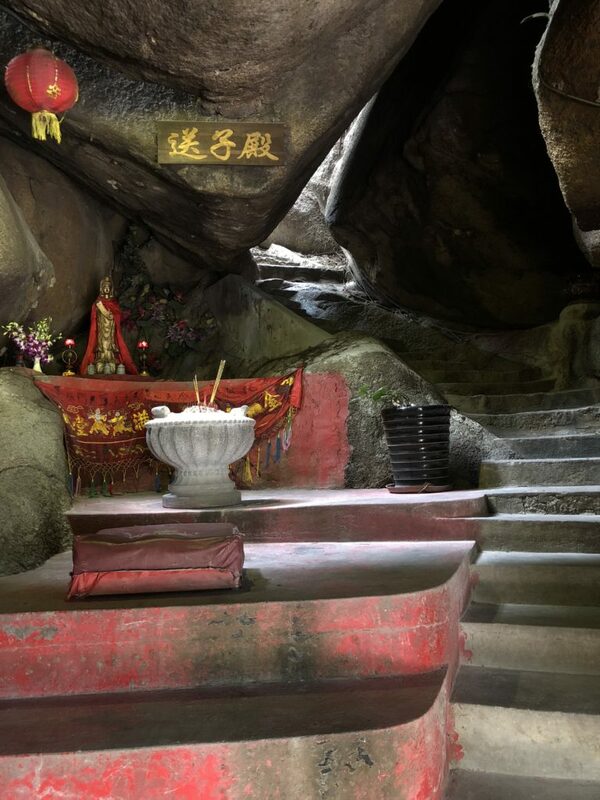 A temple dedicated to Guanyin is at the base of the mountain, sheltered in a sacred cave. In Zhuhai, there are many great dining options, from Indian to Thai to seafood restaurants along the promenade overlooking the sea. I will describe options when you book. After lunch, we’ll head to a historical curiosity of Zhuhai, the recreated Old Summer Palace of Beijing. 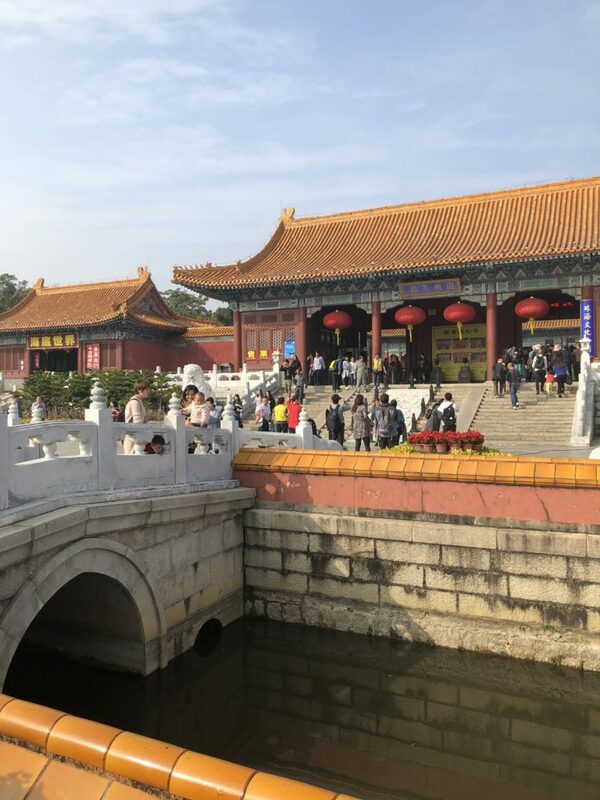 The original was the imperial summer retreat of the emperors of the Ming and Qing dynasties until it was sacked by British and French forces as part of the conflict between those nations and China which was the Opium Wars. 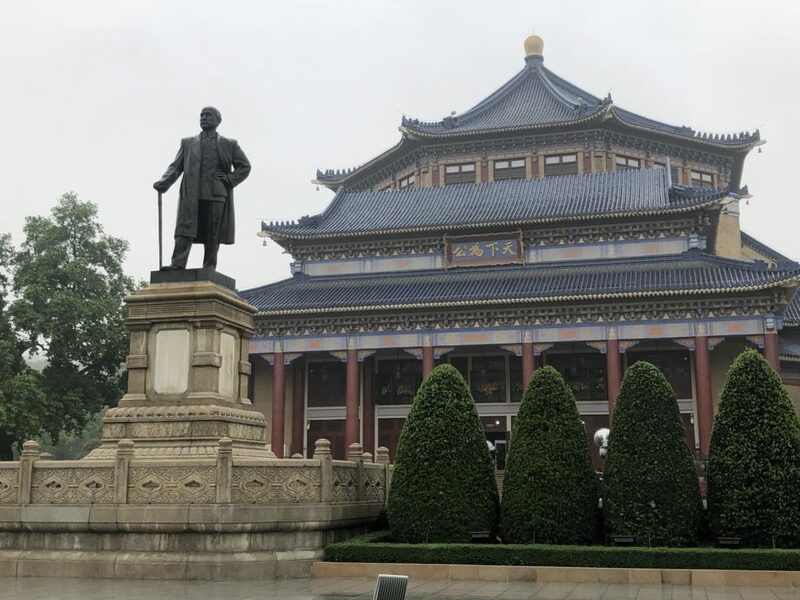 Today, the grounds in Beijing still lay in ruins, but since 1997 this theme park allows one to experience the allures of the once grand palace. A highlight is the “western” style courtyard with its baroque facades and bronze zodiac animal fountains. We’ll return to our side of the delta with the sun sinking into the pearly waters behind us. Price: Adult: 495RMB, 465RMB SWIC or ABNet member. 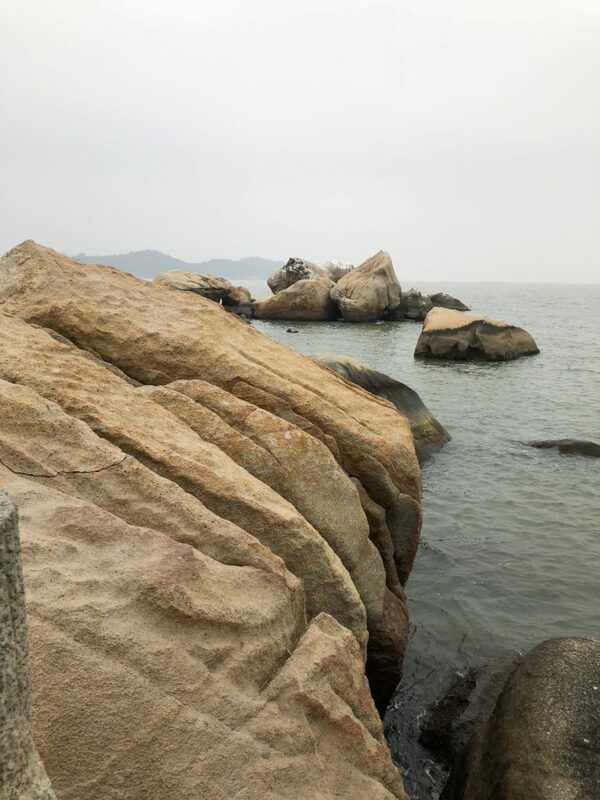 Price includes: Round trip ferry ticket from Zhuhai, private transportation around Zhuhai, entrance tickets, and full service guide by Greta of China Tea Leaves. Does not include lunch. I will choose restaurant/s based on group feedback before the trip. If adding me for the first time, be sure to mention Trips or Zhuhai in your introduction. Trace Guangzhou’s history in the footprints of a few blocks of the city’s core. Our neighbor has been a diverse metropolis for centuries and has played an interesting part in China’s history. 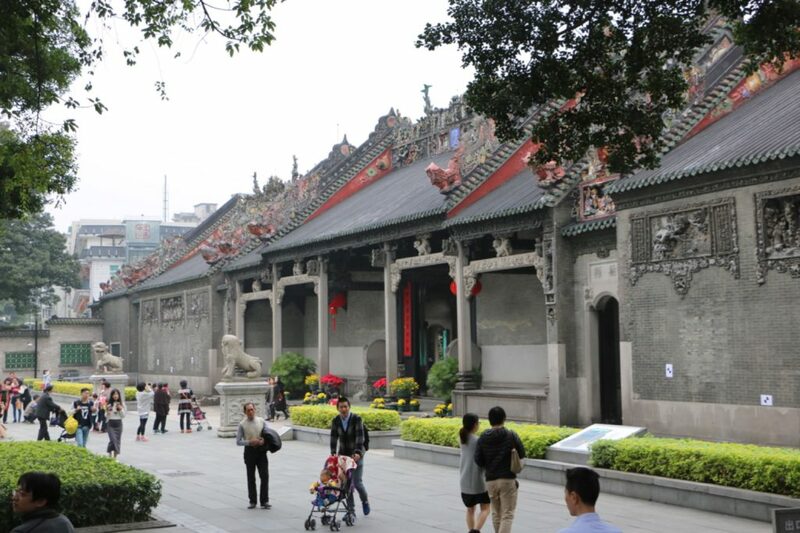 On this day tour, we’ll discover some of beautiful and important sites in Guangzhou. 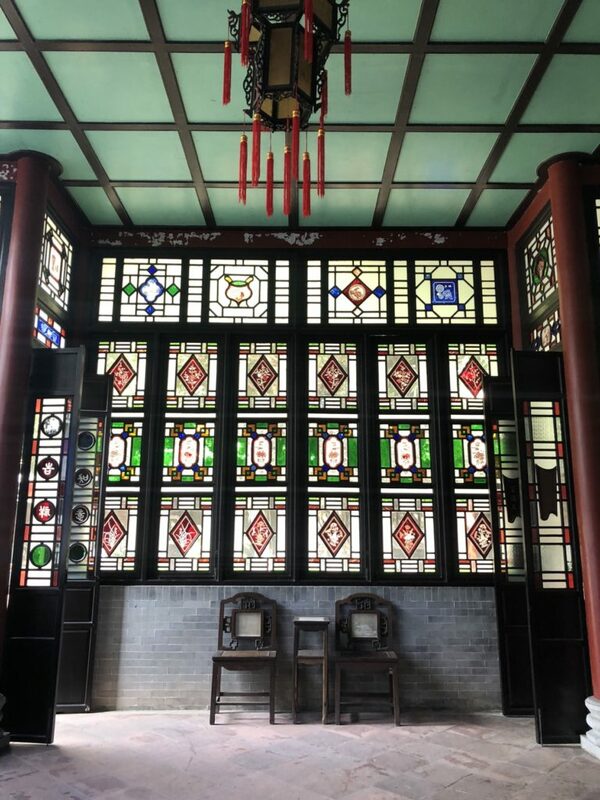 First we’ll visit one of the enduring symbols of Guangzhou, the Sun Yat-sen Memorial Hall. Sun Yat-sen, popularly known as Sun Zhongshan, was the first president of the Republic of China after the Xinhai revolution overthrew the imperial Qing dynasty. Sun Yat-sen was a native of the Pearl River Delta, and it was from Guangzhou that he initiated some of the first movements in overthrowing the Qing government. The memorial here was built soon after his death in 1925. 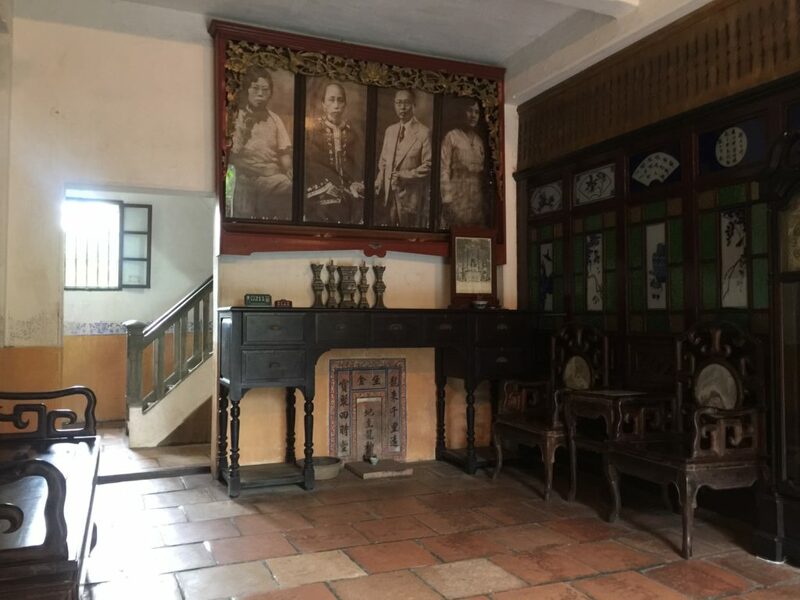 After our walk of the grounds and look inside the exhibit halls about Sun Yat-sen’s life, we’ll have lunch together in old Guangzhou. (Cost additional – just split the bill with the group) Lunch will be either dim sum or an authentic Cantonese restaurant. 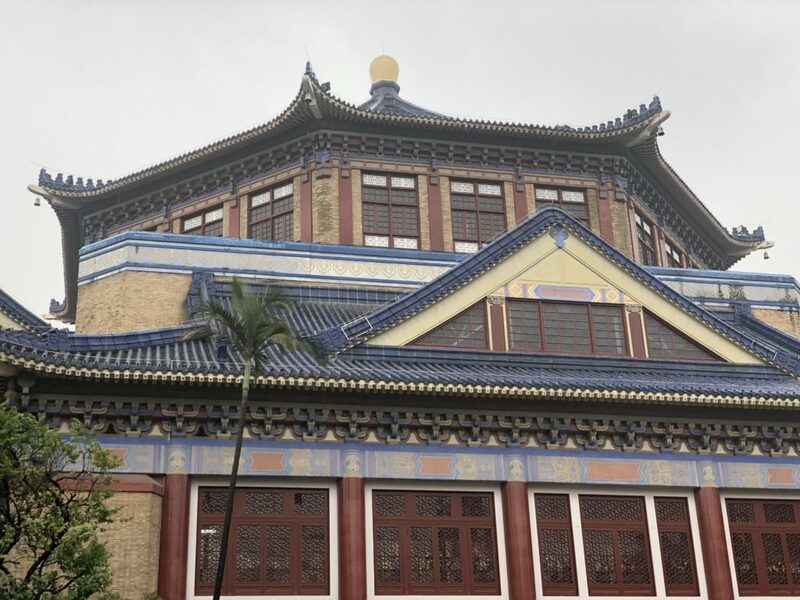 After lunch, we’ll visit the Guangxiao temple in central Guangzhou, one of the oldest Buddhist temples in Guangzhou, as the site dates back to 230AD. 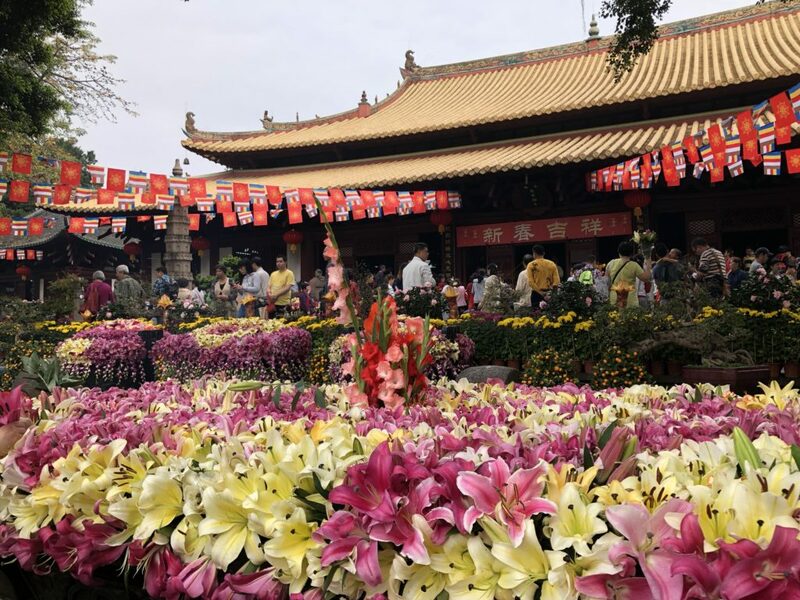 Grand halls and green courtyards are decorated with fresh flower offerings, and left and right of the main halls are two iron pagodas, the oldest of their kind in China. Next we’ll make our way to Chen Clan Academy, an ornate complex built in the Qing dynasty. 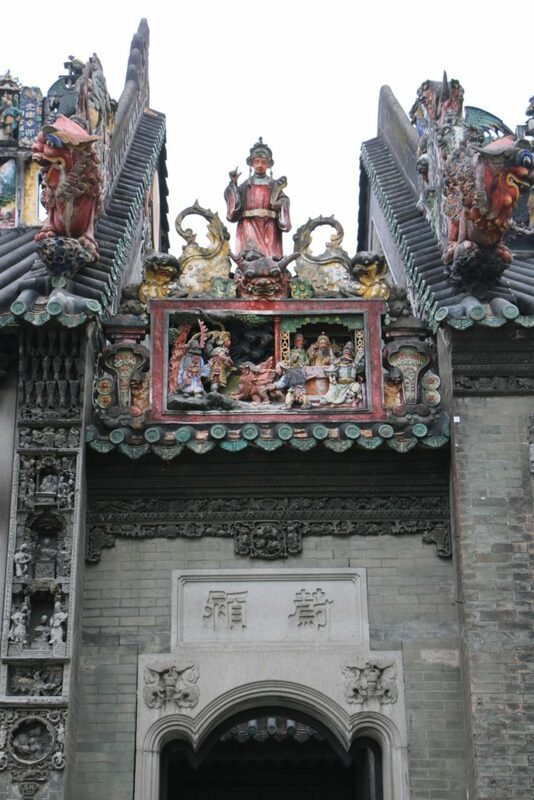 You can see the educational, social, and religious purposes the academy served, as well as learn about the traditional building techniques used and other ancient handcrafts preserved by Cantonese artists. In the center of this modern city, you can discover some of the beautiful and fascinating history of Guangdong and the Chinese nation. includes round trip private shuttle, entrance tickets, and guided tour by Greta. Lunch additional. Private shuttle picks up from Shekou (for other pick ups contact me). Journey to Guangzhou about 2 hours. 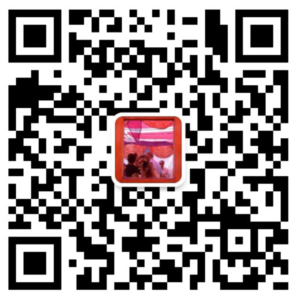 If adding me for the first time, be sure to mention Trips or Guangzhou in your introduction. 小桥流水人家 To make your home by a small bridge and flowing water. 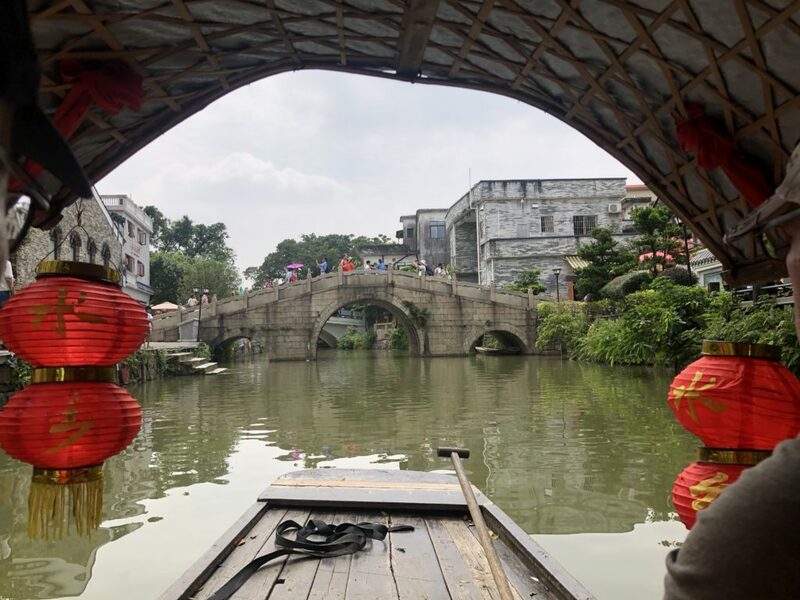 These words describe the idyllic scenery of Chinese villages, which people come from across continents to see, often seeking out the tourist canal towns around Shanghai. 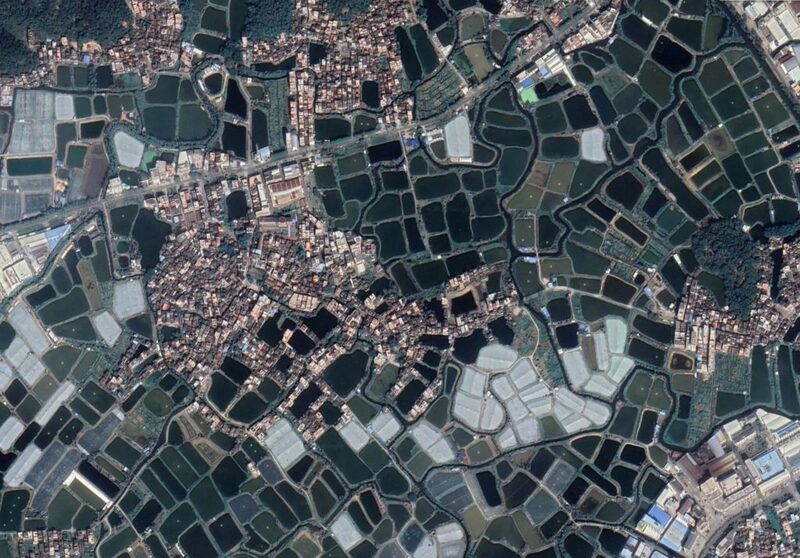 But we have such a quaint village right in our backyard around the Pearl River Delta. 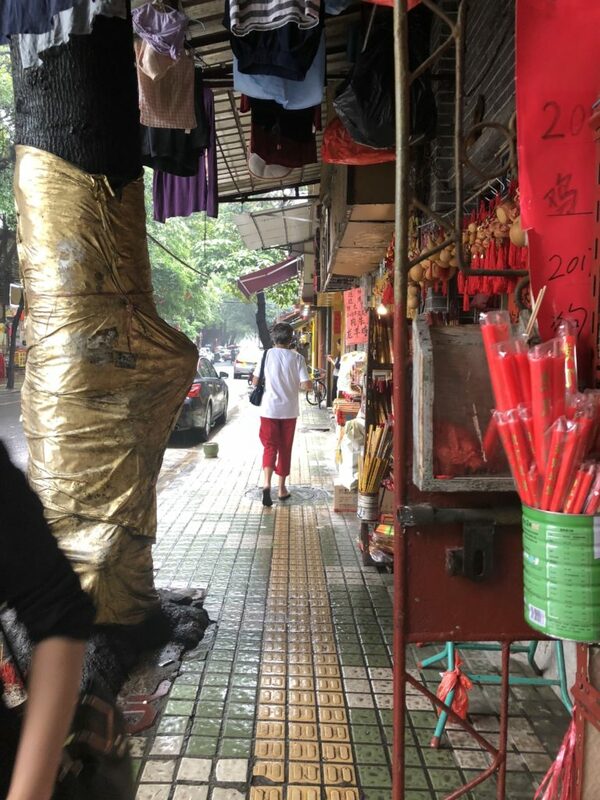 The irrigated towns and paddies of Guangzhou and Foshan are a prime but overlooked place to find a classic scene of Chinese life. 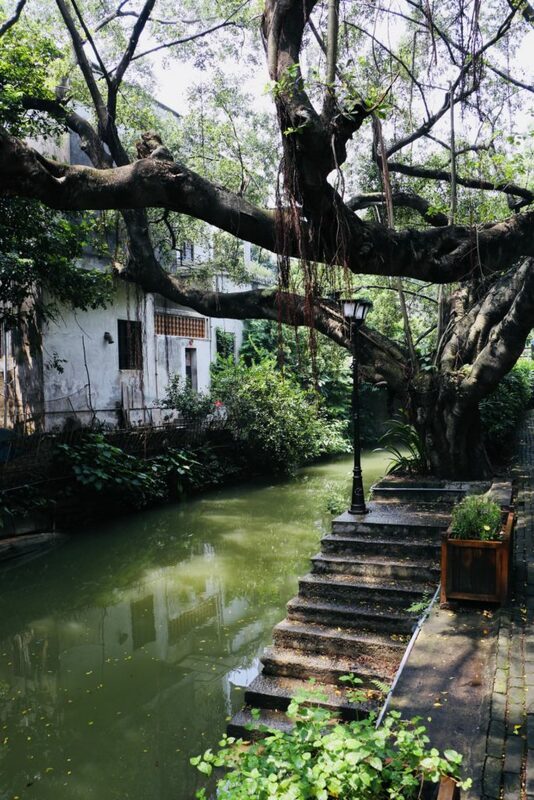 On this day trip, we’ll head to the outer villages of Shunde district, part of Foshan just to the west of Guangzhou. 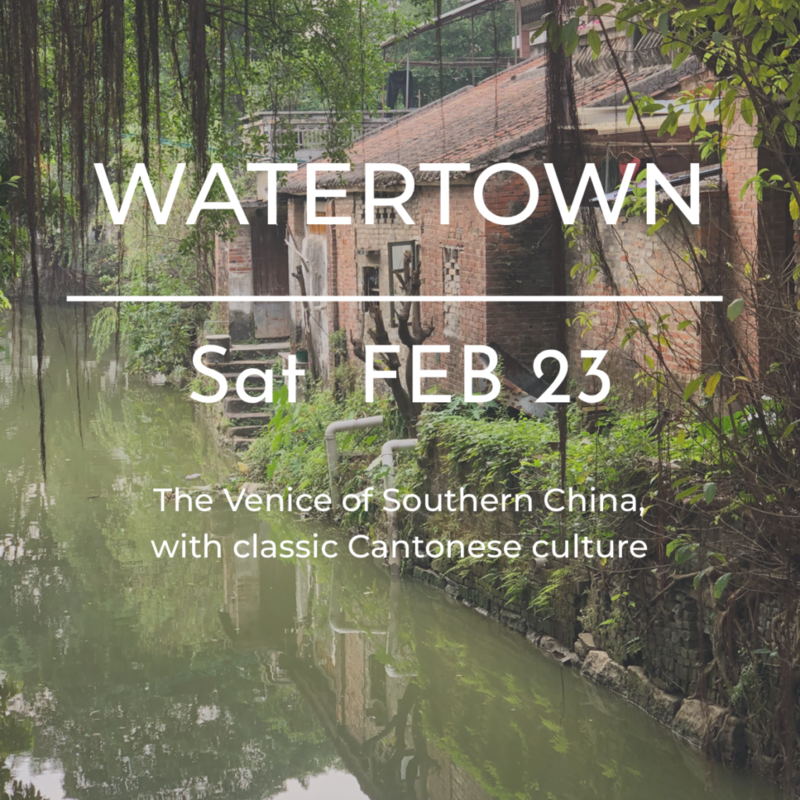 In the water town of Fengjian, you can wander the shaded streets of this village, catching glimpses of the local people’s relaxed life. 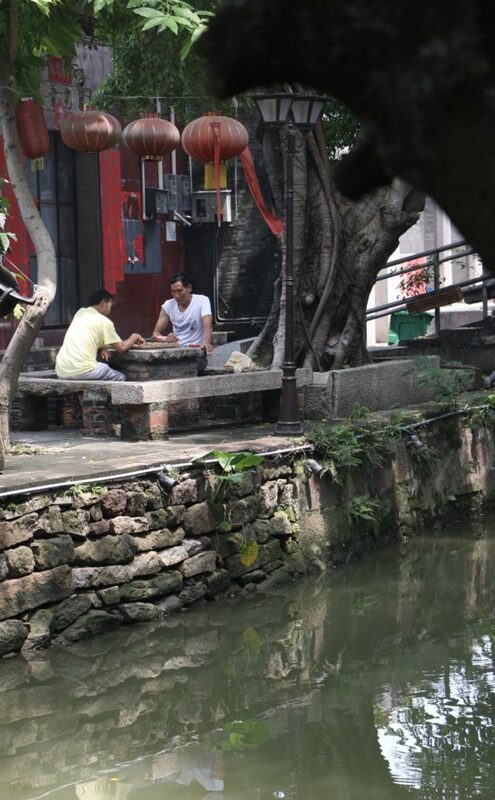 Fishermen repair a net, two neighbors play chess along the river banks. 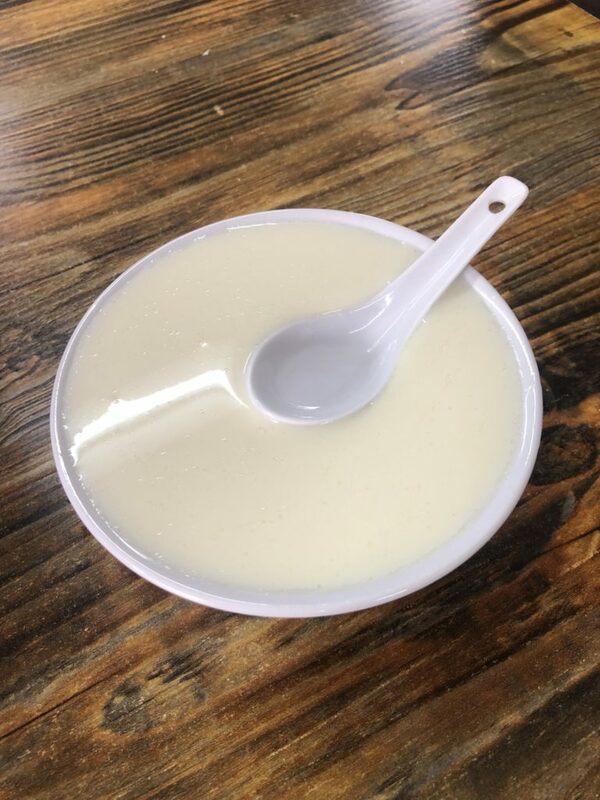 Shunde is also home to some of the most famous dishes of Cantonese cuisine, especially the popular desserts double skinned milk and ginger milk. We can taste these plus other snacks and sweets while lounging near the flowing river. A lovely traditional place to escape just for a day away from the city. Price: 330RMB per adult, 235RMB for kids between 1.2-1.5m (20RMB off for Shenzhen ABNet or SWIC member), kids under 1.2m get an additional discount – contact me. Please note this is a weekday trip, especially for those with flexible work schedules, visiting family and friends. Default pickup in Shekou. Contact me if you are outside of Shekou for other pickup options. If adding me for the first time, be sure to mention Trips or Watertown in your introduction. Arcaded sidewalks, storefronts steaming with goodies, courtyards lined in jewel toned stained glass. 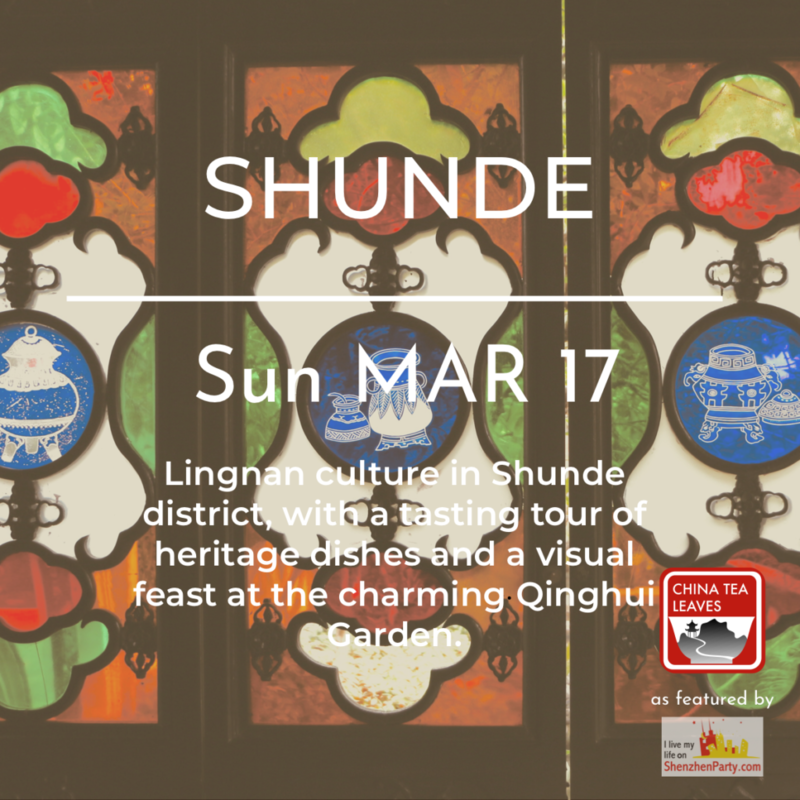 Take an early spring stroll through historic Shunde for a day of gastronomic and visual delights. 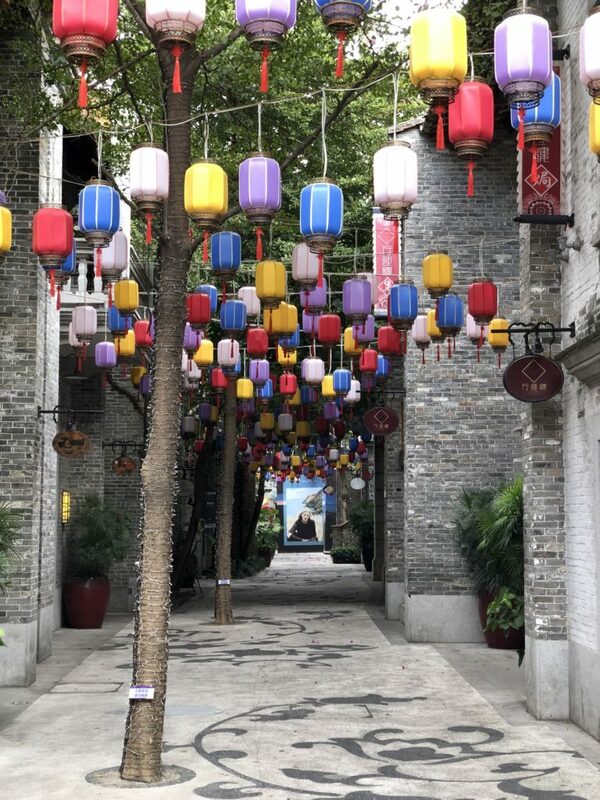 Shunde (顺德) district of Foshan city is a wonderland of the culinary kind, and is known by Chinese as the hometown of the best chefs of Cantonese cuisine, typically the highest regarded cuisine throughout China. 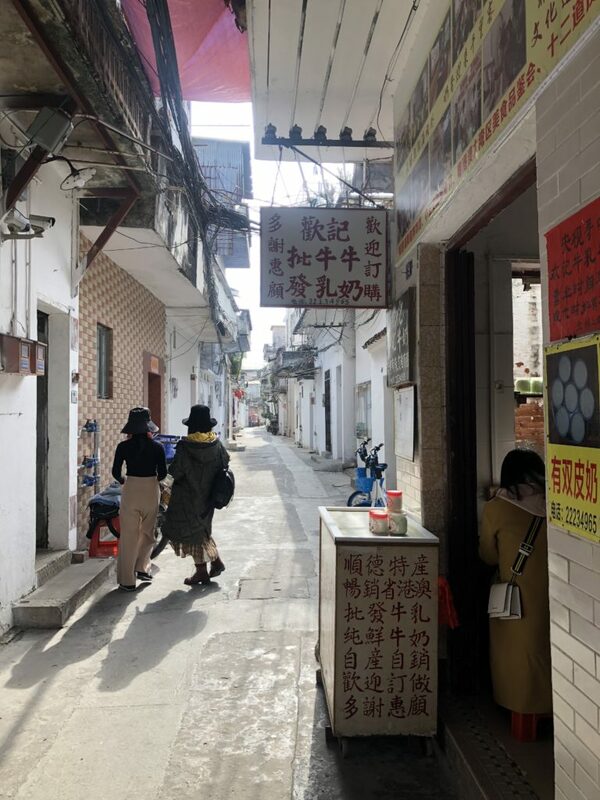 Our destination will be the winding streets of Daliang, Shunde, not far from the medieval looking canals, where you’ll find pastel colonial buildings and decaying sign boards of tried and true restaurants. 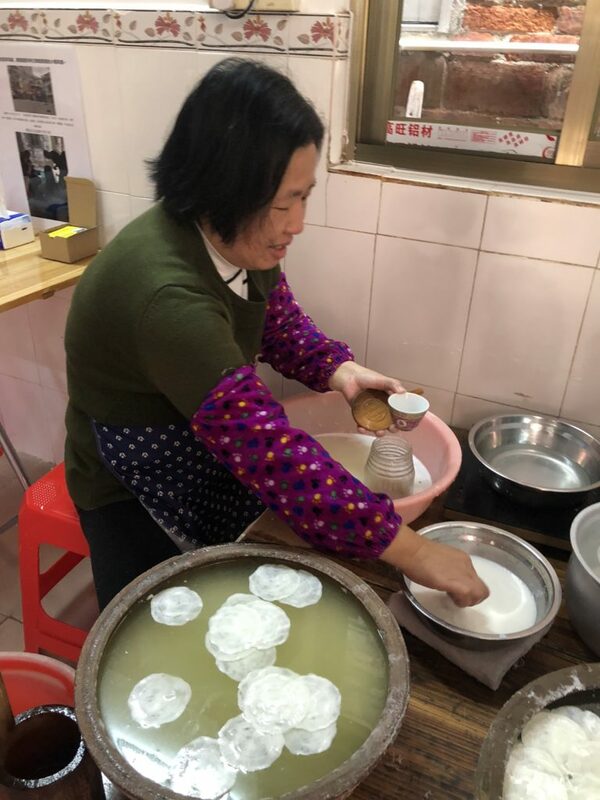 On this day trip we will sample some of Shunde’s classic eats, such as steamed cake, rice noodles, claypot rice, and Shunde’s famous milk desserts shuang pi nai and ginger milk. 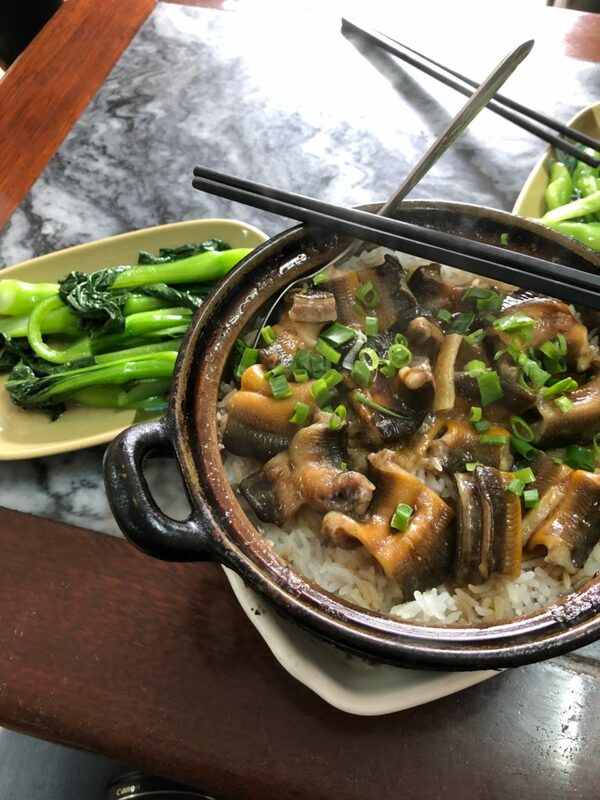 There is a phrase circulated by foodies, 食在广东，厨出凤城 (shi zai guangdong, chu chu feng cheng), that is, eating in Guangdong, your chef has come from the Phoenix City, a nickname of Shunde’s central Daliang district. 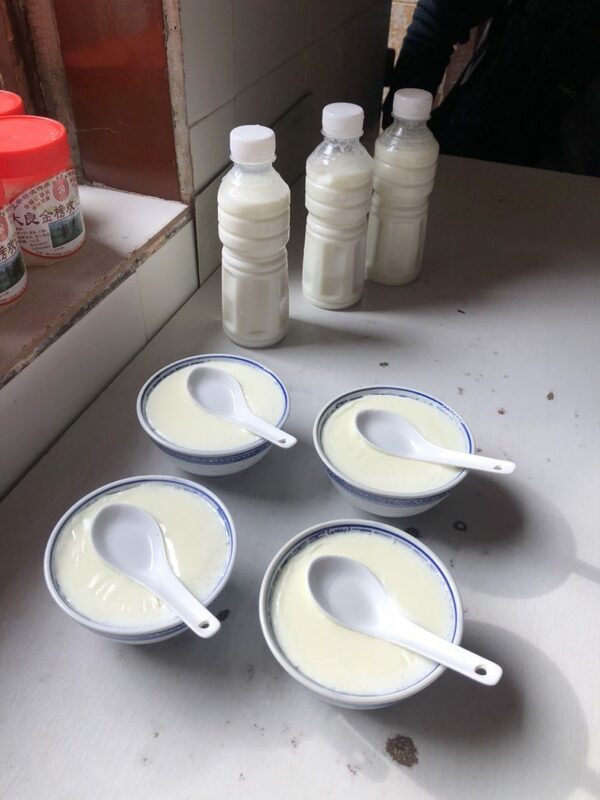 Down the tidy alleys of Daliang, we’ll be seeking out some time-honored shops, such as “Remember” Milk, makers of shuang pi nai, China’s panna cotta, and niu ru, handmade milk discs that can be cooked into many dishes at home. 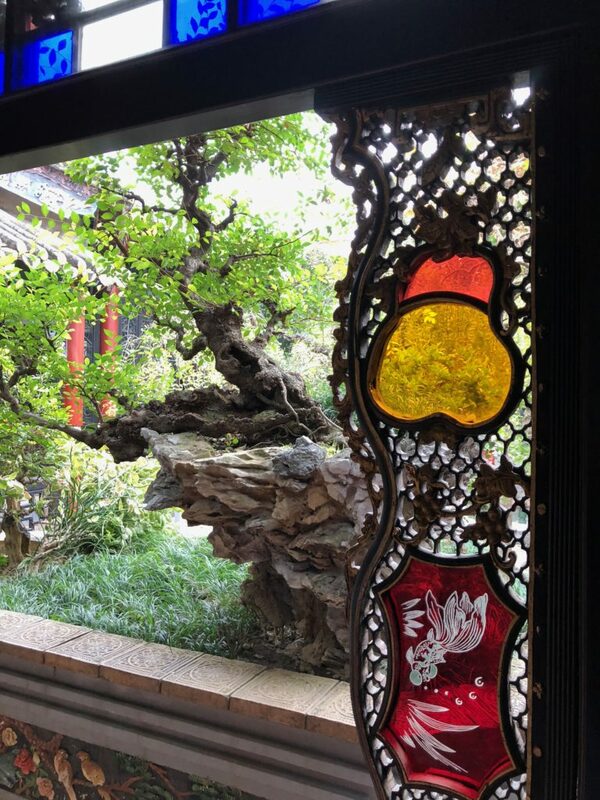 A must-see in Shunde is the nearby Qinghui Garden (清晖园), known as one of the four best Lingnan style gardens. 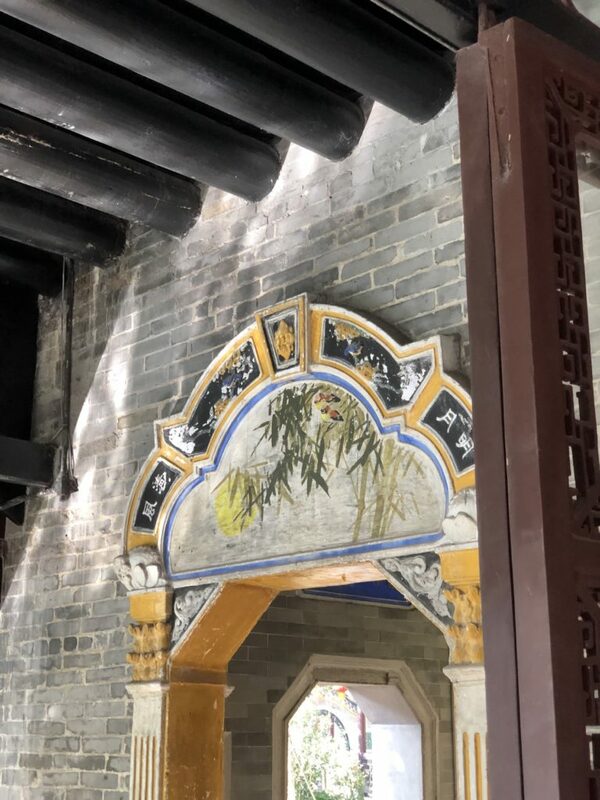 Various courtyards unfold, revealing unexpected views and materials, such as stained glass, ceramic tile, wrought iron, gilded wooden pavilions and more. 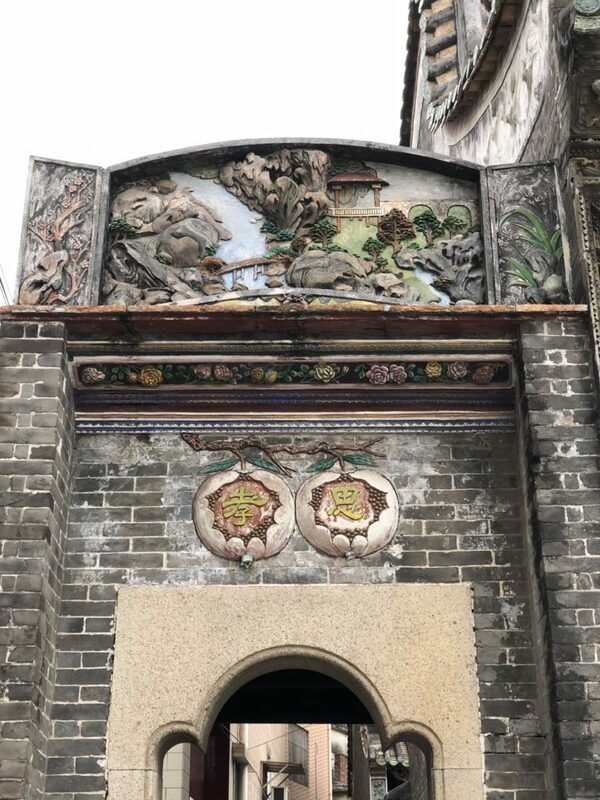 Wandering this Qing dynasty complex makes for a lovely afternoon, and ranks as one of the most beautiful spots I have seen in all of Guangdong province. It is worth taking the time to discover all the gems of each corner, a potted garden of bonsai, a tower lined in stained glass, a waterfall, a lucky koi pond, and on and on. 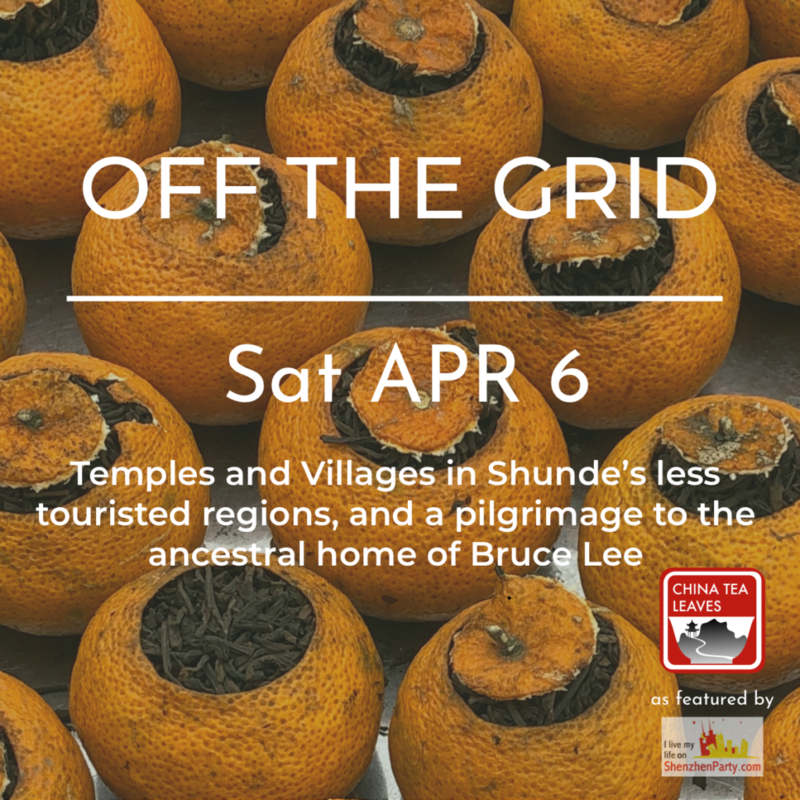 Come enjoy a day out learning more about the culture of southern China and feasting on Shunde’s offerings. 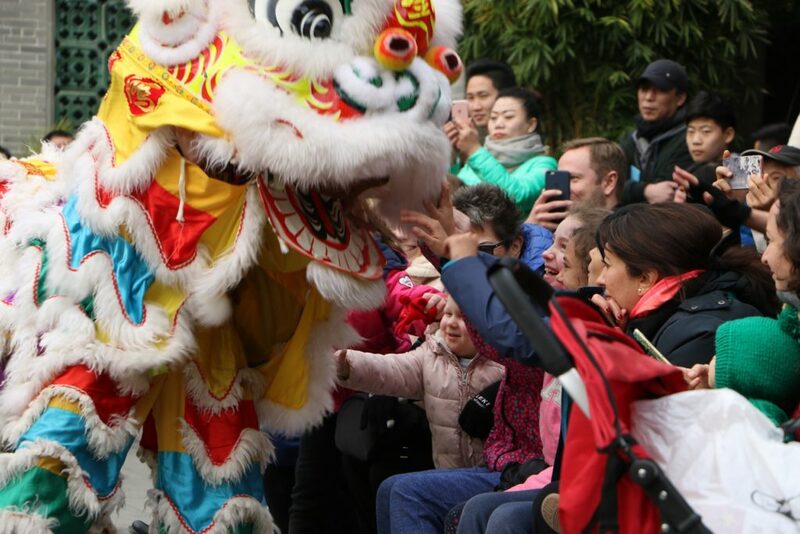 Price: 345RMB per adult, 200RMB for kids between 1.2-1.5m (20 off for Shenzhen ABNet or SWIC member), kids under 1.2m get an additional discount – contact me. Note: We will be sampling local foods in small reputable restaurants. Adventurous omnivores or flexible eaters will be happiest on this tour. 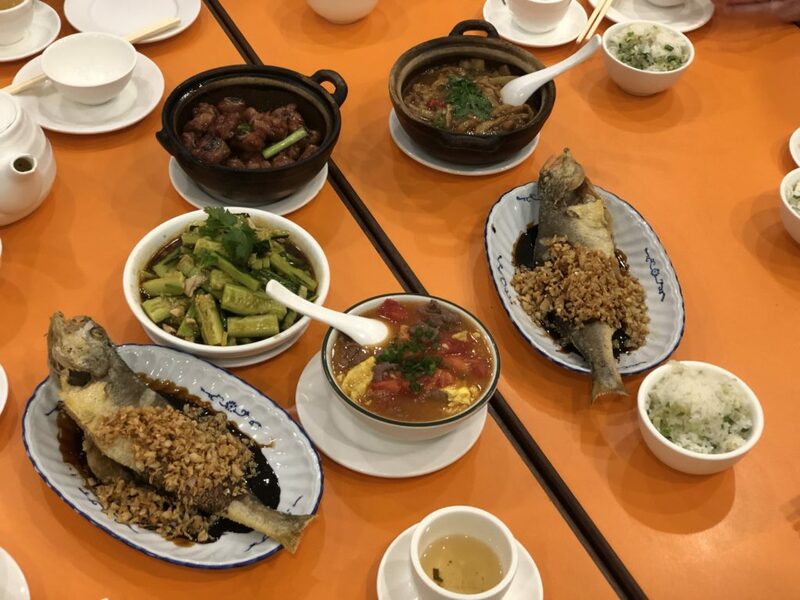 I’m a pescatarian myself, so I can guide eaters around some restrictions but we will be trying some dishes that you probably haven’t had a chance to try in Shenzhen. Announcing an easy day out with your family, to a mountain park covered in waterfalls and fresh green nature! 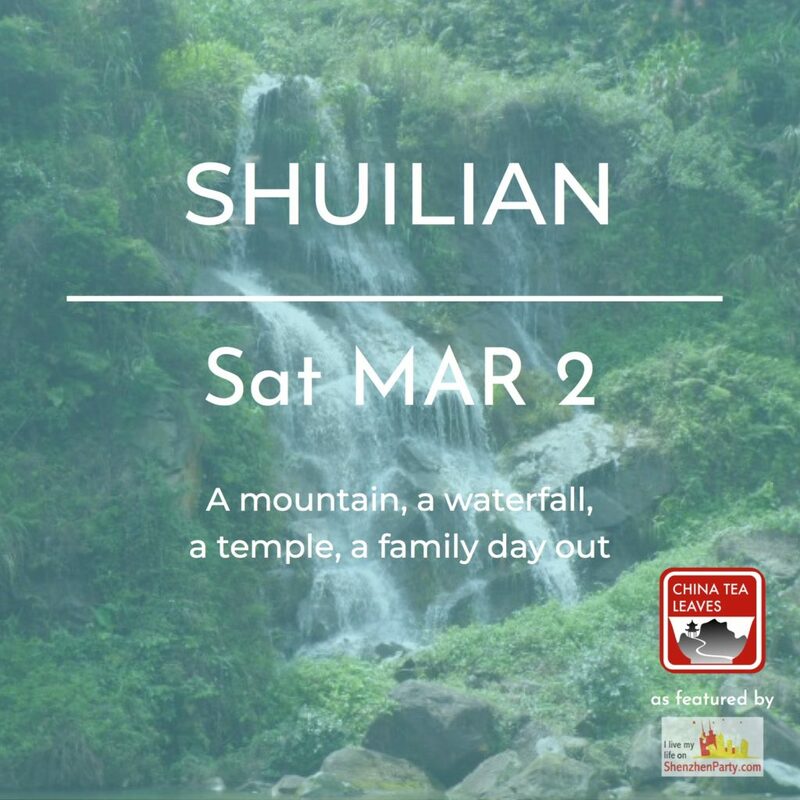 We’ll be traveling to Shuilian Mountain Park in nearby Dongguan. Dongguan actually has the greatest number of parks of any city in China, even more than Shenzhen. 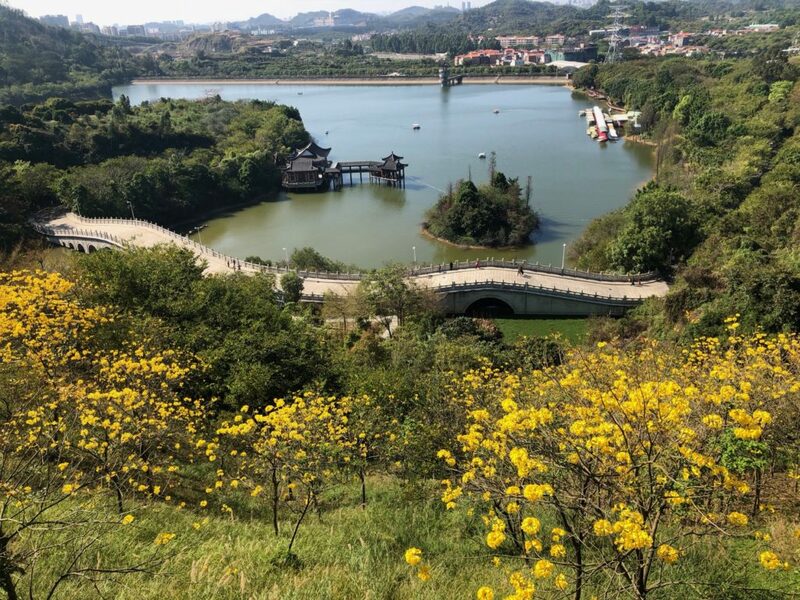 Shuilian is beautiful park located less than 1.5 hours drive from Shekou, making for a convenient day out with your family! We’ll have a leisurely departure at 9:00am from Shekou. 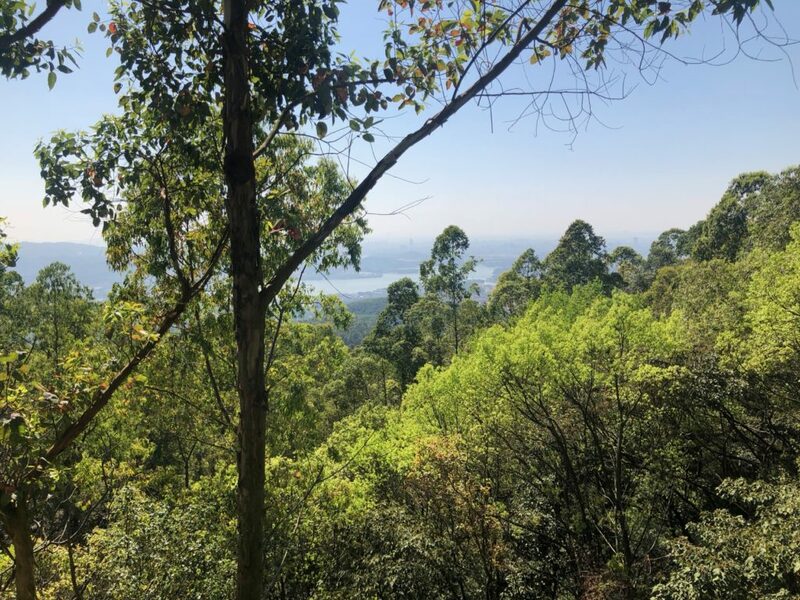 After arriving at the park, we’ll take a modest hike part way up the mountain past waterfalls and taking in views of the lake below. This hike is uphill, but not very steep. We’ll be climbing about 150m at an easy pace and we can take our time enjoying the forest views. At the top of our hike, we’ll sit and eat our picnic lunch next to a pool fed by the waterfall. You may feel as if we’re in a fairy world amongst the streams and shady groves of trees. 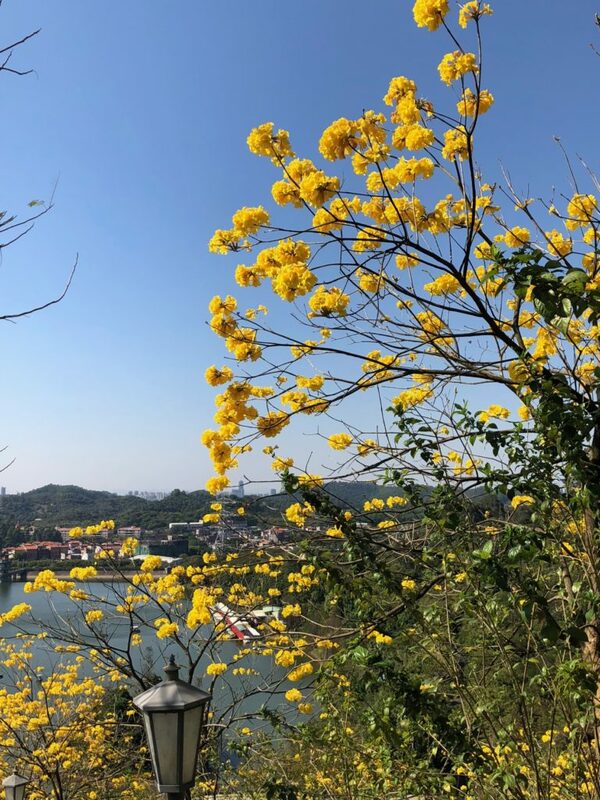 This time of year the mountain is ablaze with yellow flowering trees, and kapok flowers being harvested for herbal tea. 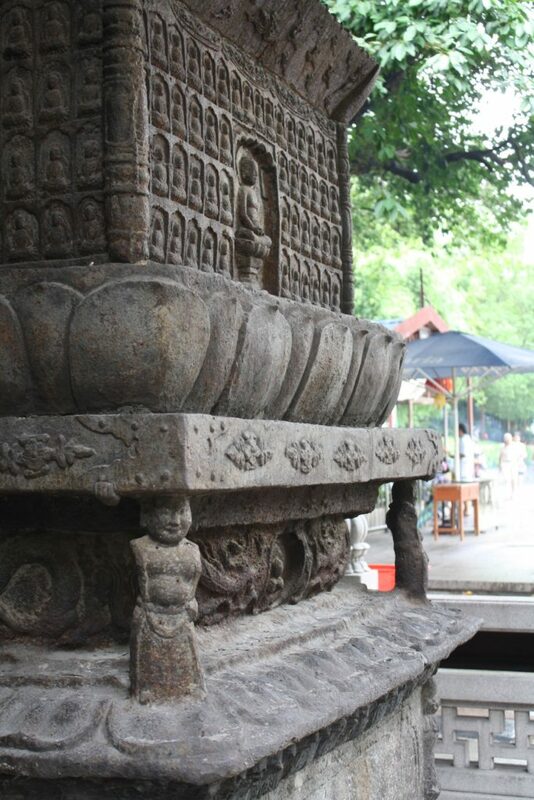 After lunch we’ll visit the park’s ancient temple, a small stone sanctuary dating back to the Song dynasty. After viewing the temple, we’ll have some free time for exploring more of the mountain or taking a boat out on the lake. We’ll arrive back in Shekou at 5:30pm. 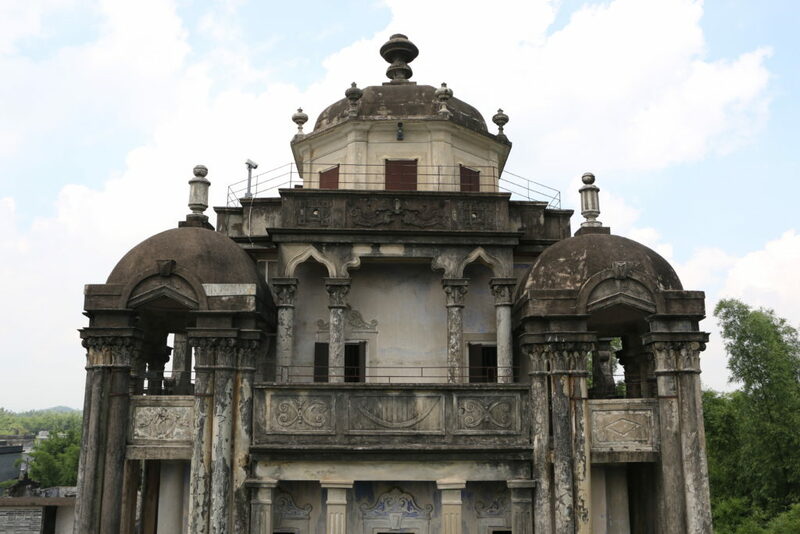 includes round trip private shuttle, entrance to the park and ancient temple, and guided tour by Greta. Please bring a packed lunch, water, and any snacks you will want for the bus ride. Boat ride or any other fees not included. Private shuttle picks up from Shekou (for other pick ups contact me). Journey to Shuilian about 1.5hours. If adding me for the first time, be sure to mention Trips or Waterfall in your introduction. 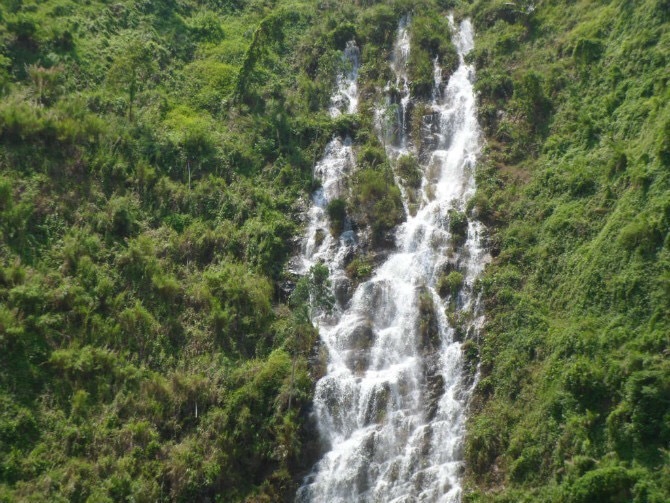 加我的时候，请备注Trips或Waterfall. Enter your email address to subscribe to China Tea Leaves and receive notifications of new trips and posts by email.